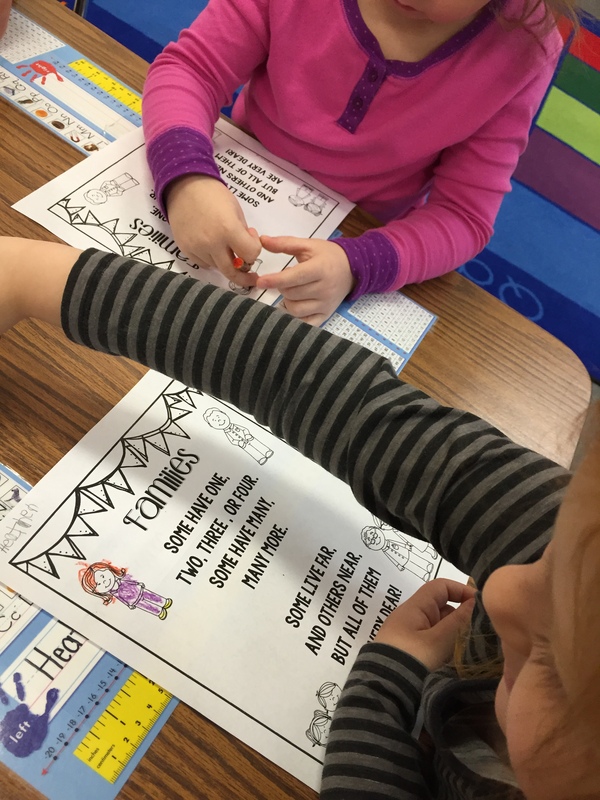 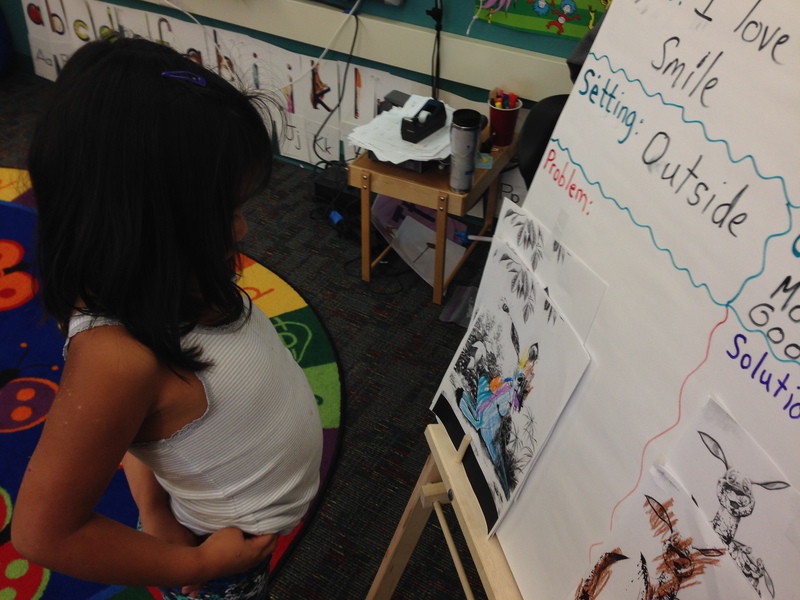 We read the poem Families and looked for sight words and rhyming words. 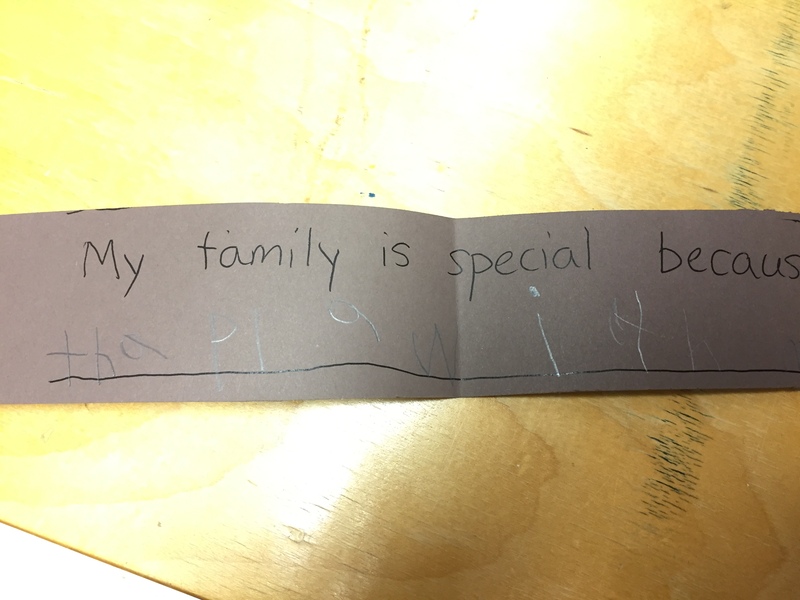 When we drew a picture of our families on the back of the poem. 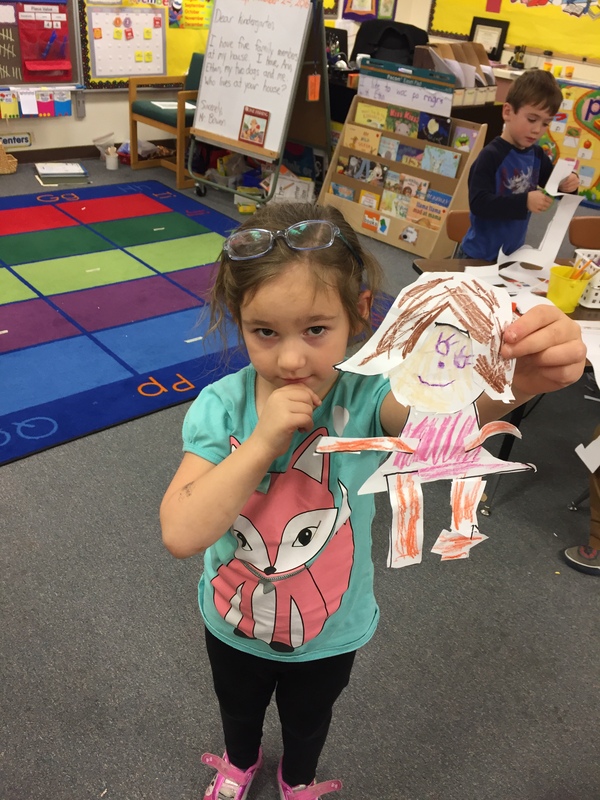 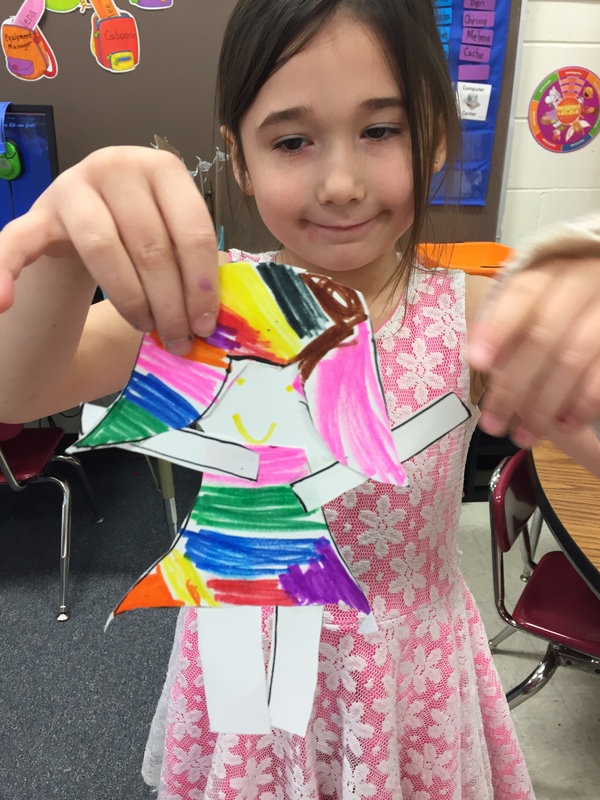 Then we made construction paper puppets of one of our family members. 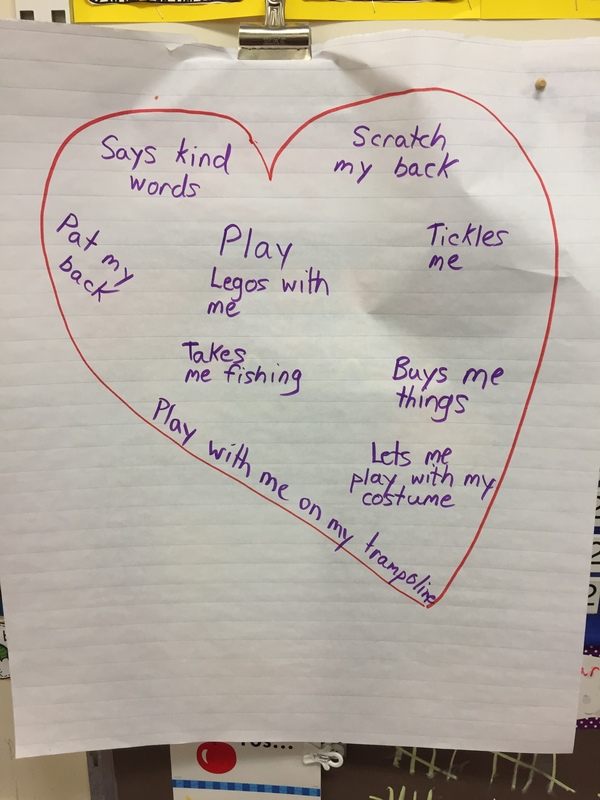 We also wrote about why our families are special to us and traced our hands to make “hug writing”. 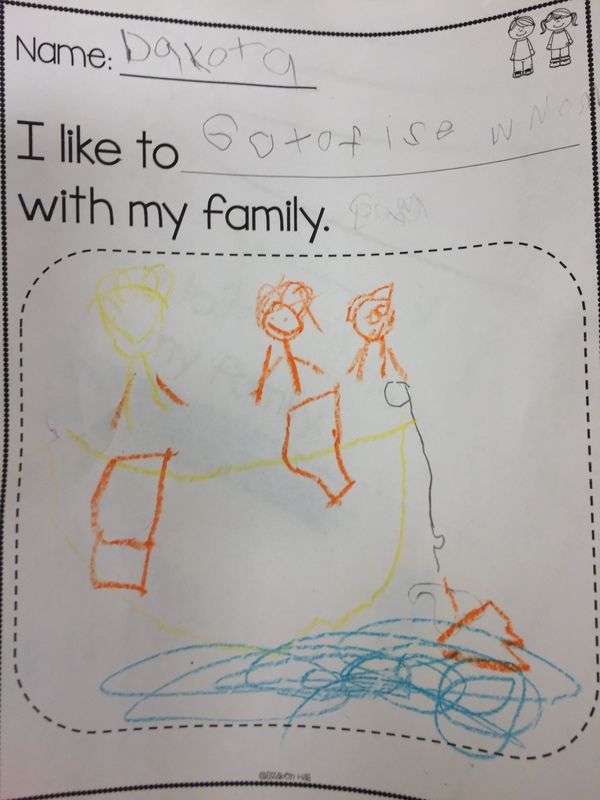 This week we have been talking about our families and how they are important to us. 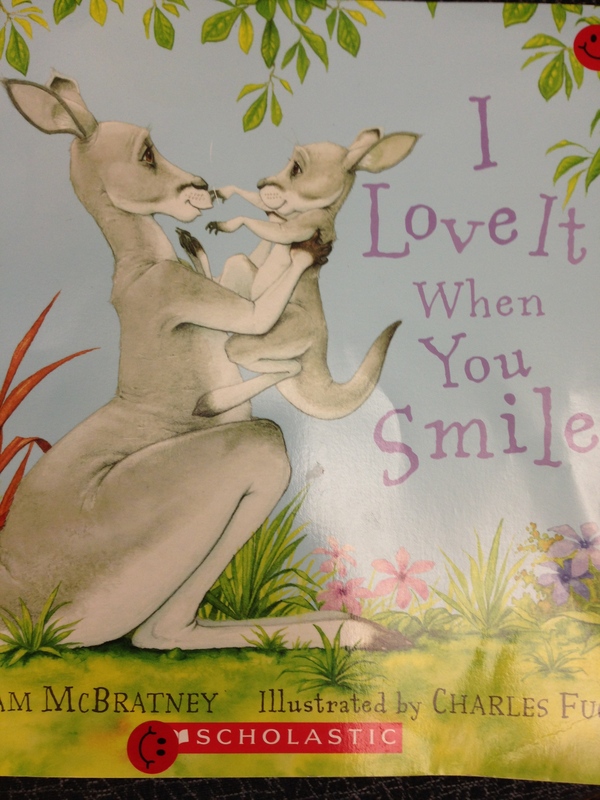 We read the story “I Love It When You Smile” by . 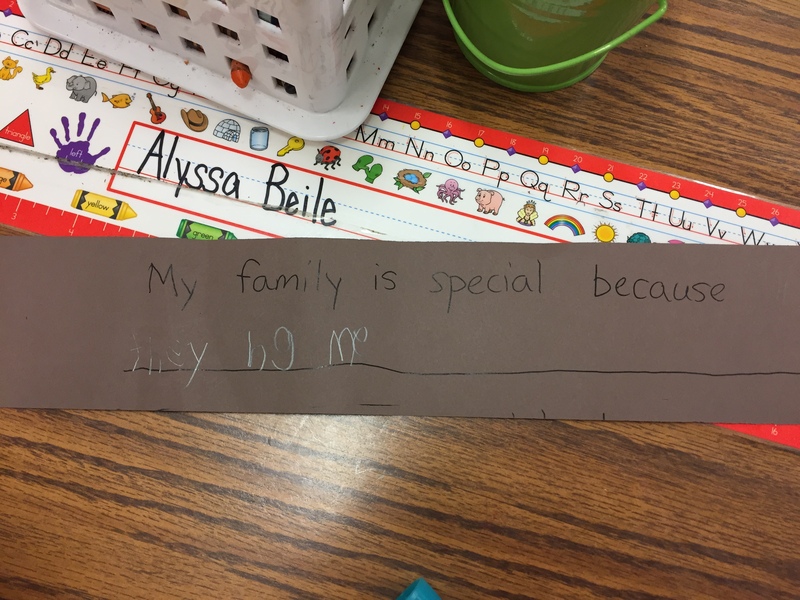 We made text to self connections by writing about how someone in our family tries to make us feel better when we’re sad. 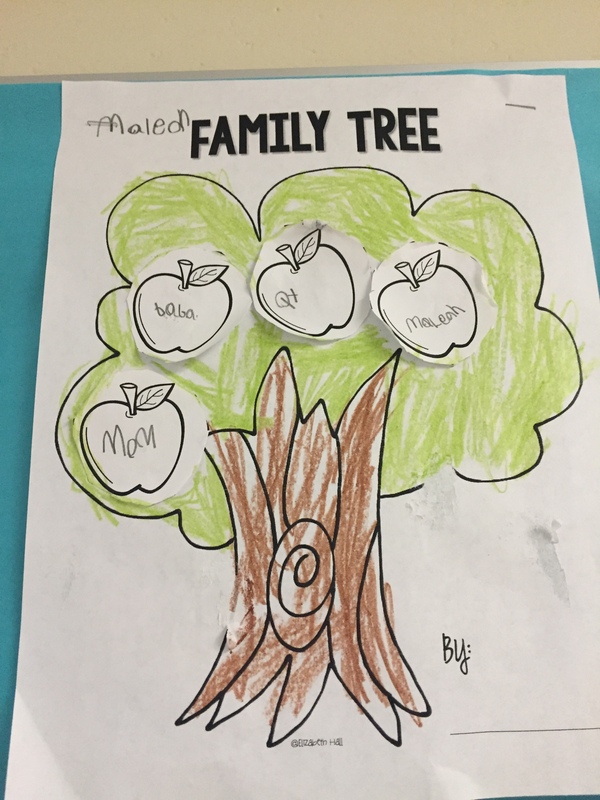 We then made a family tree that showed how many members of our family lived with us. 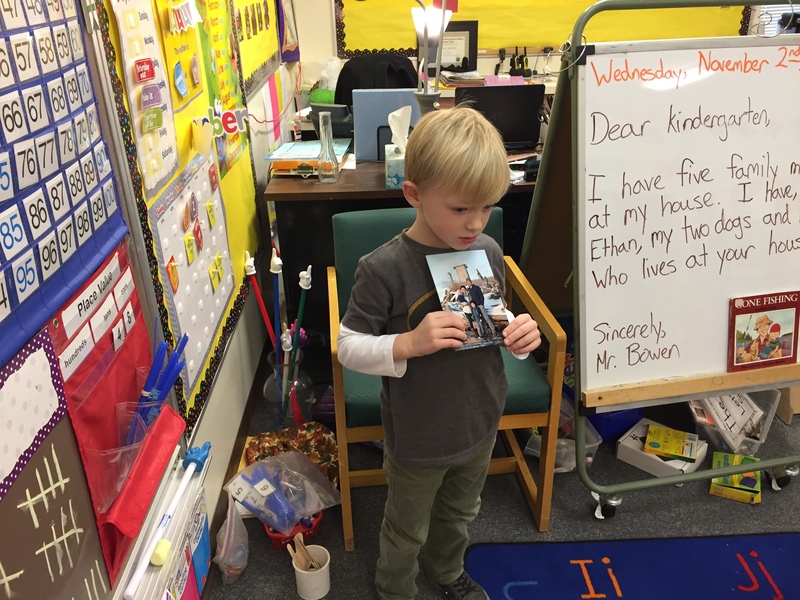 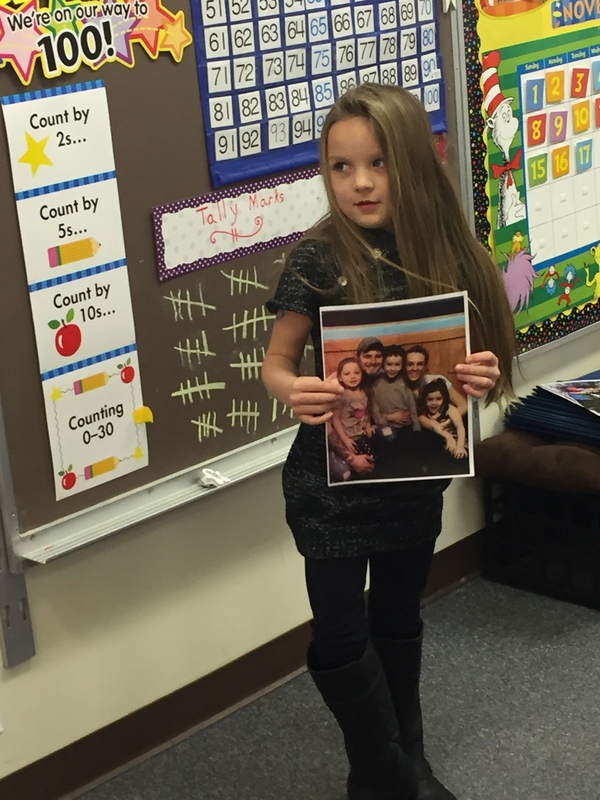 Then students shared with the class a picture of their family and shared about who the members of their family are. 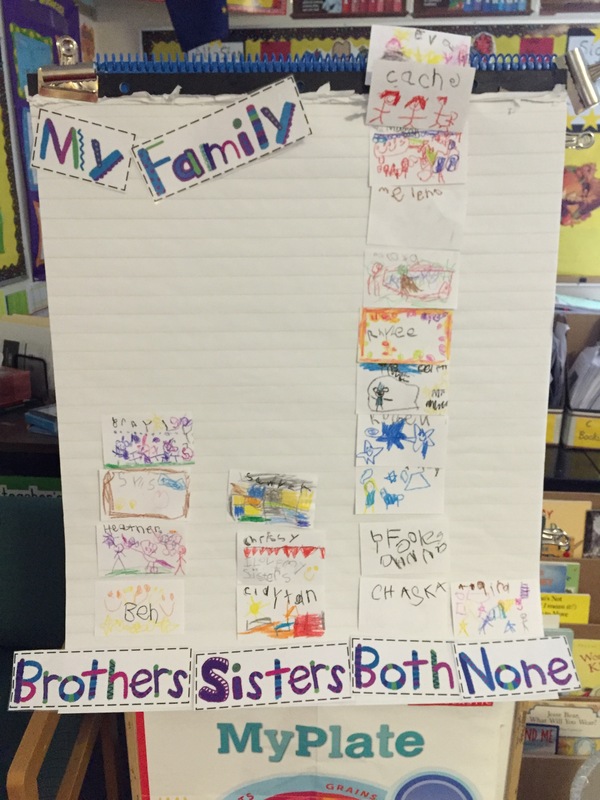 To finish off our families unit we created a class graph that illustrated who had siblings in their family and who did not. 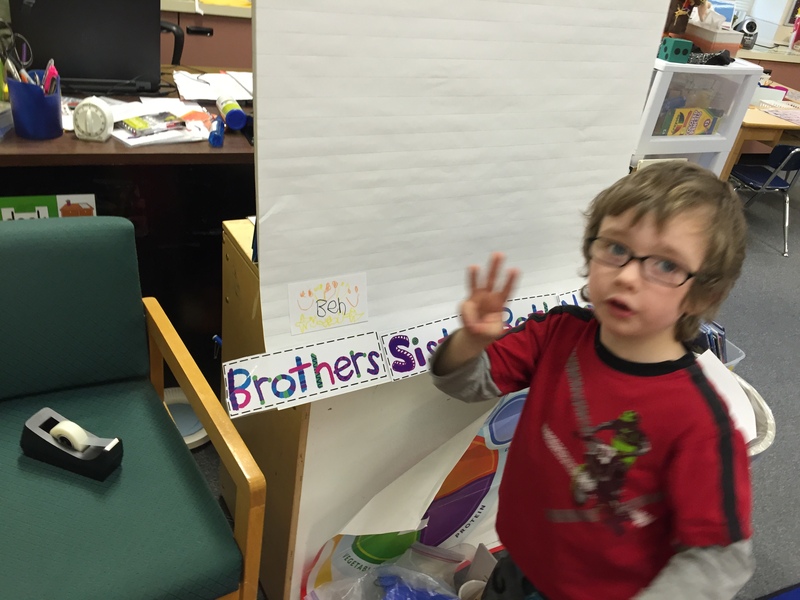 We found that the majority of the class had both brothers and sisters. 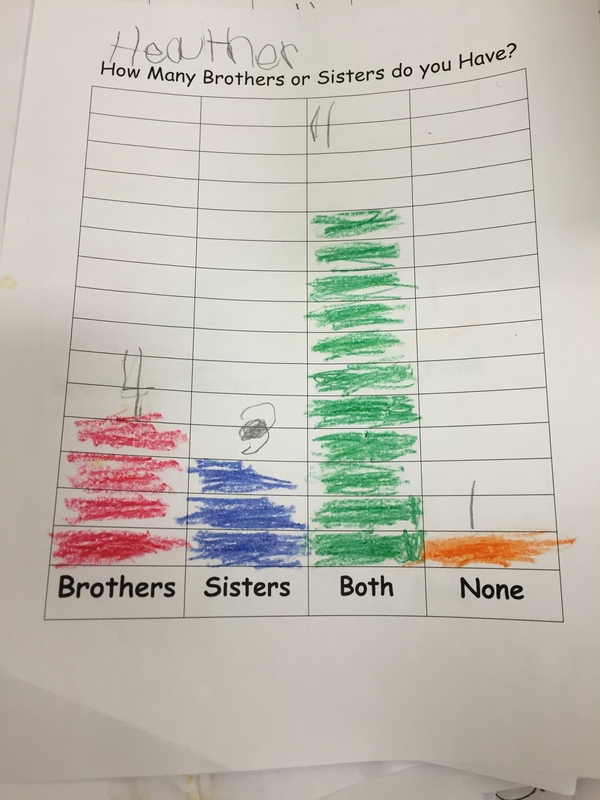 Only one student had no brothers or sisters. 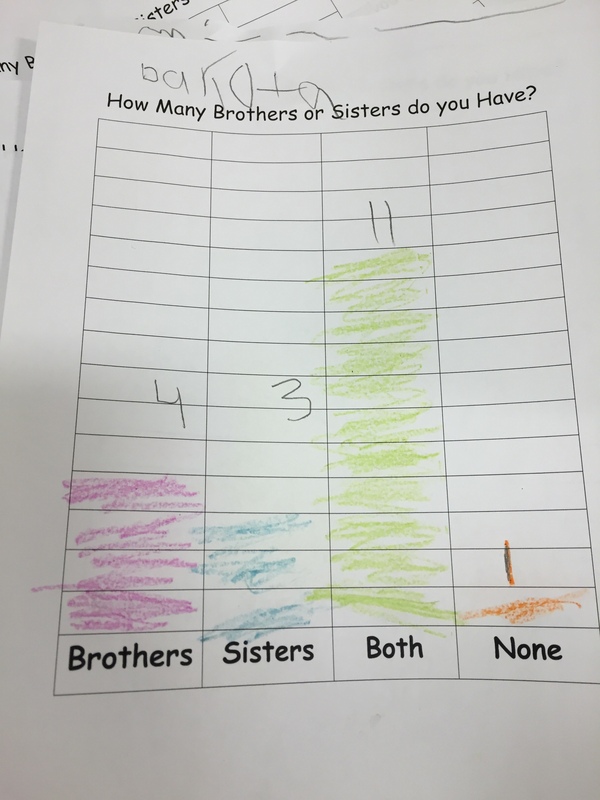 Finally the class copied the graph and we discussed which group had the most and which group had the least. 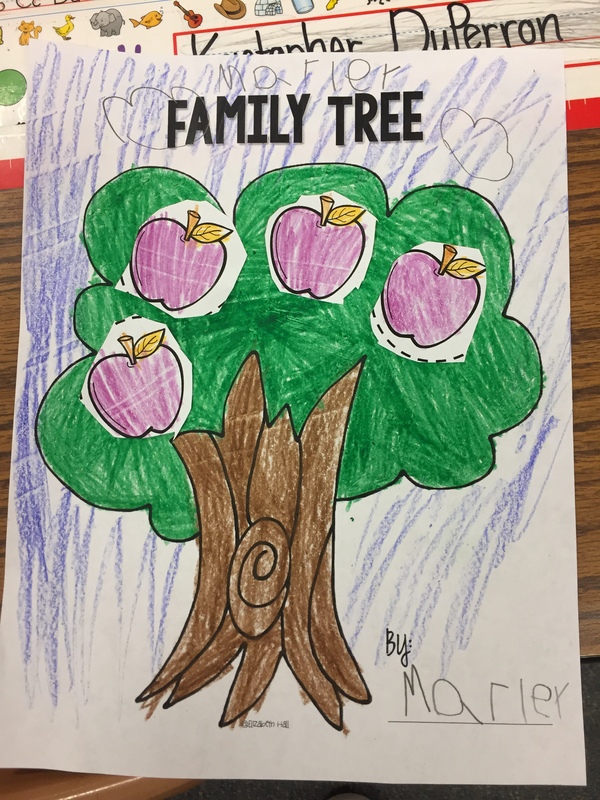 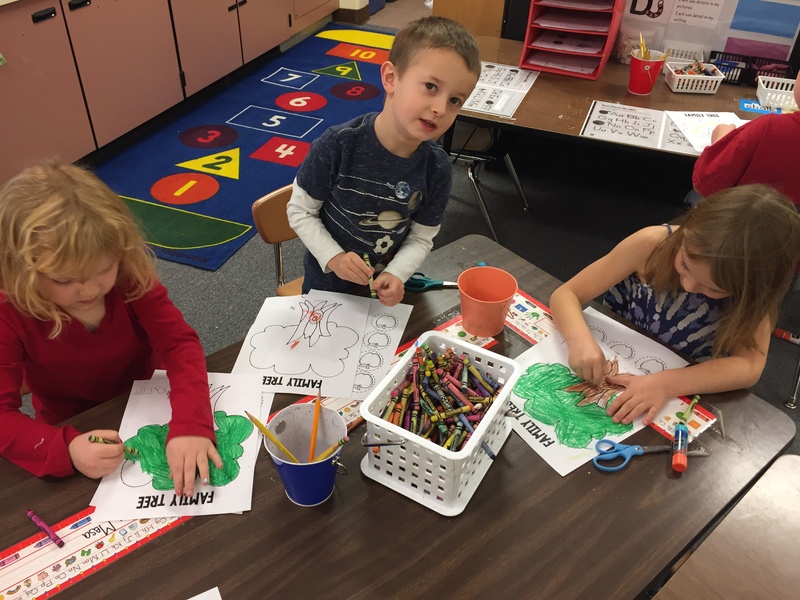 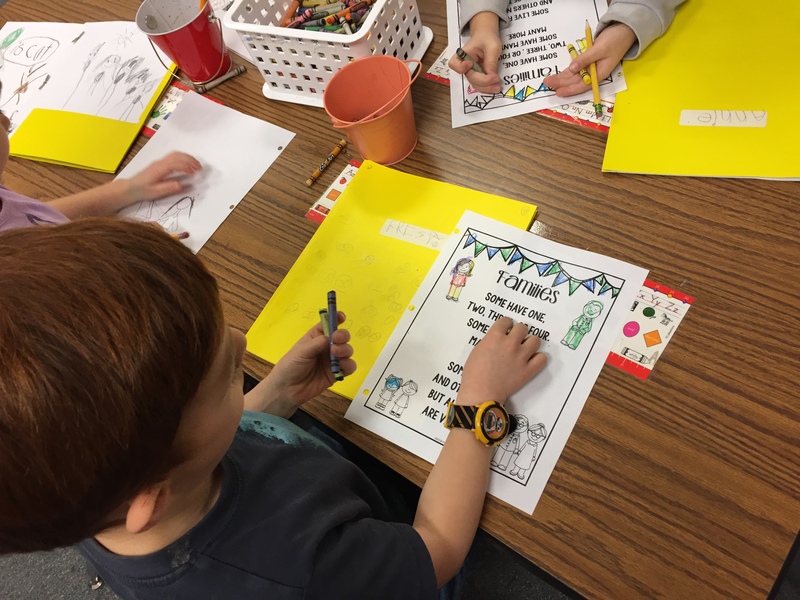 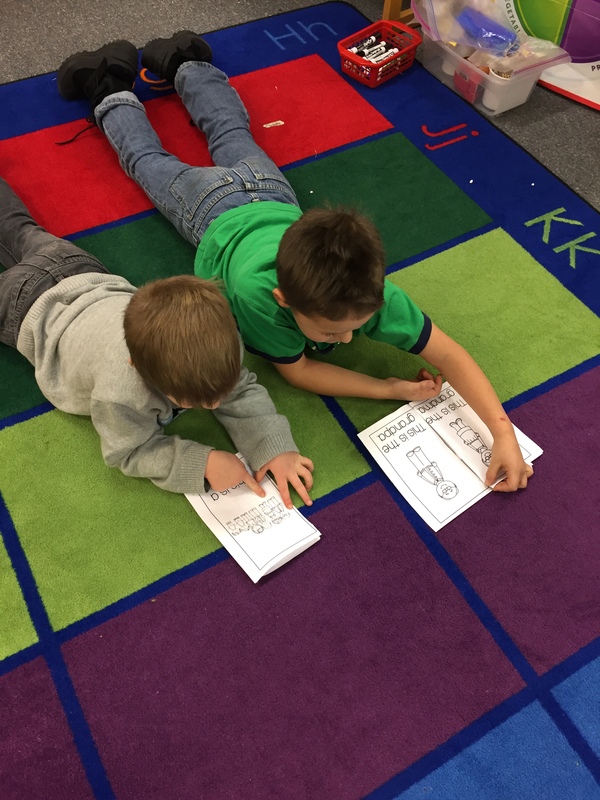 Finally we read a book called “Families” as a class and then students partnered up, took turns reading the book to each other, and colored the pictures of the book. 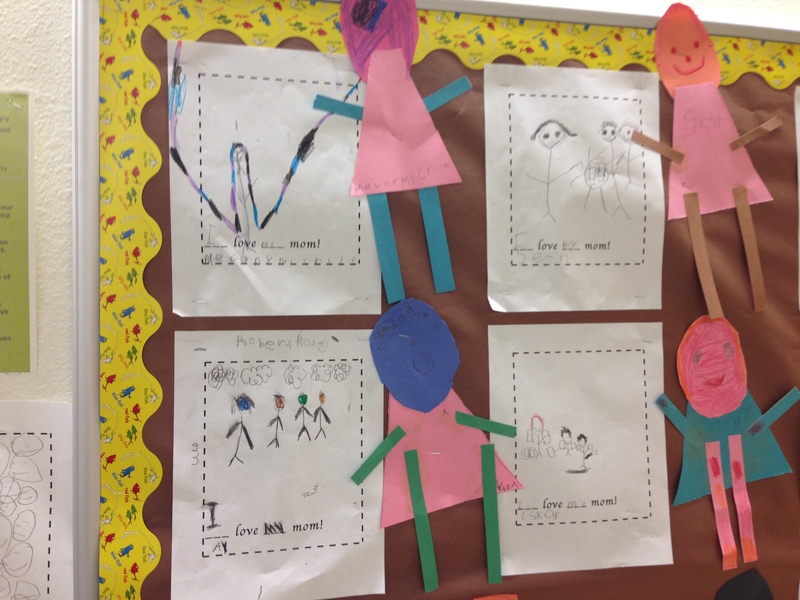 Lots of things are happening in Mr. Bowen’s All-Star class during our families unit. 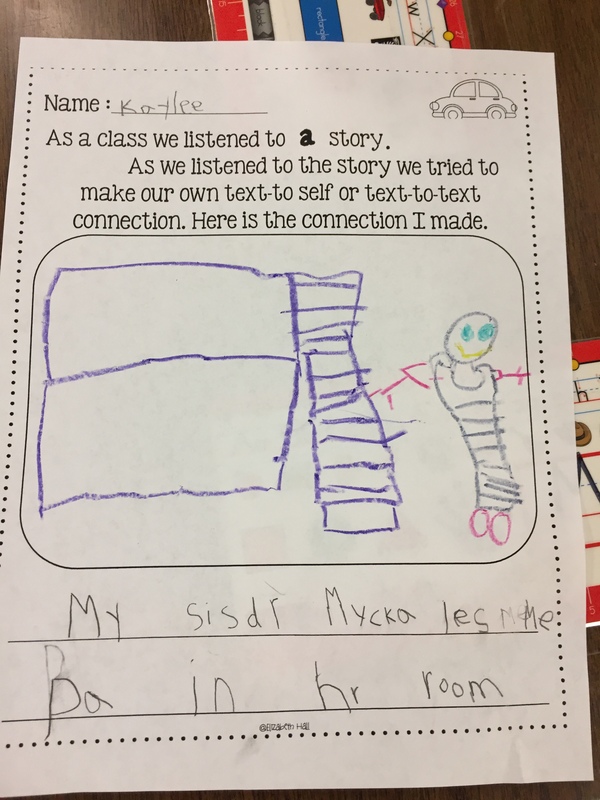 First we read the story “I Love it When You Smile” and made connections with the story. 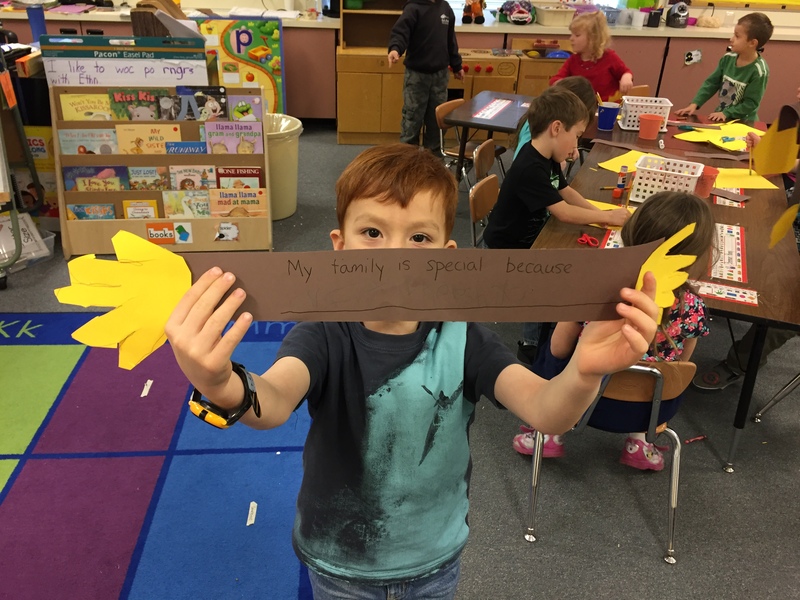 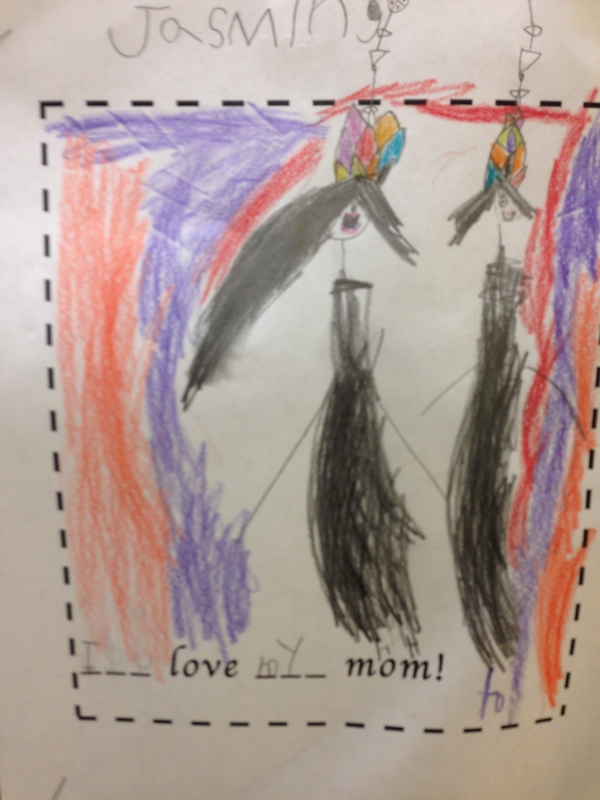 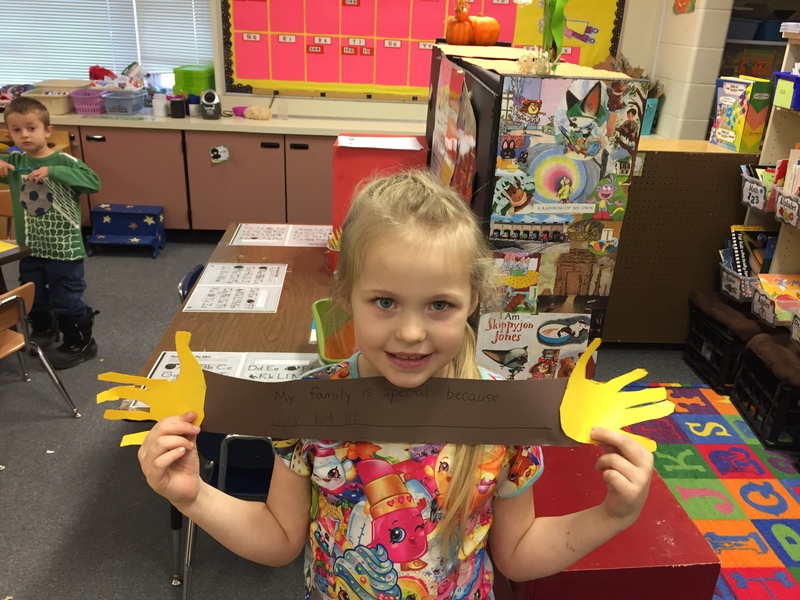 Students talked about times when their family members such as their mom or dad helped try to make them feel better. 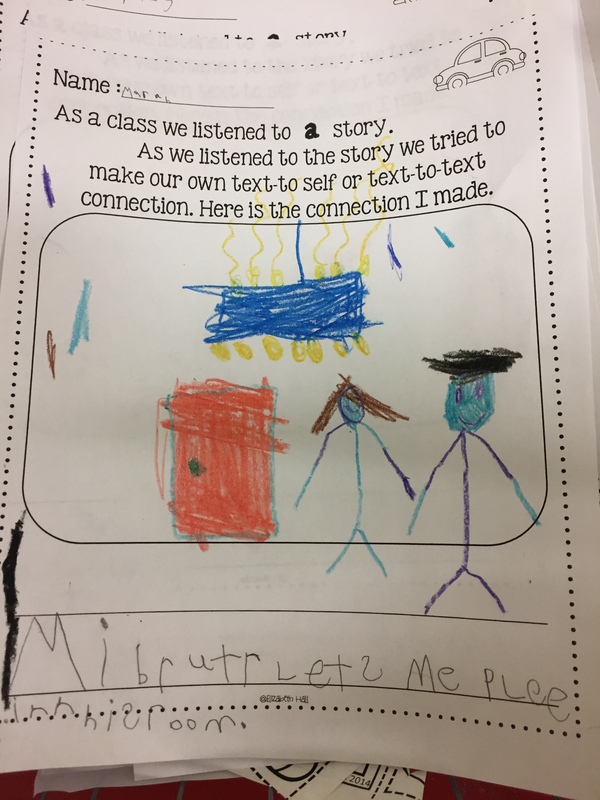 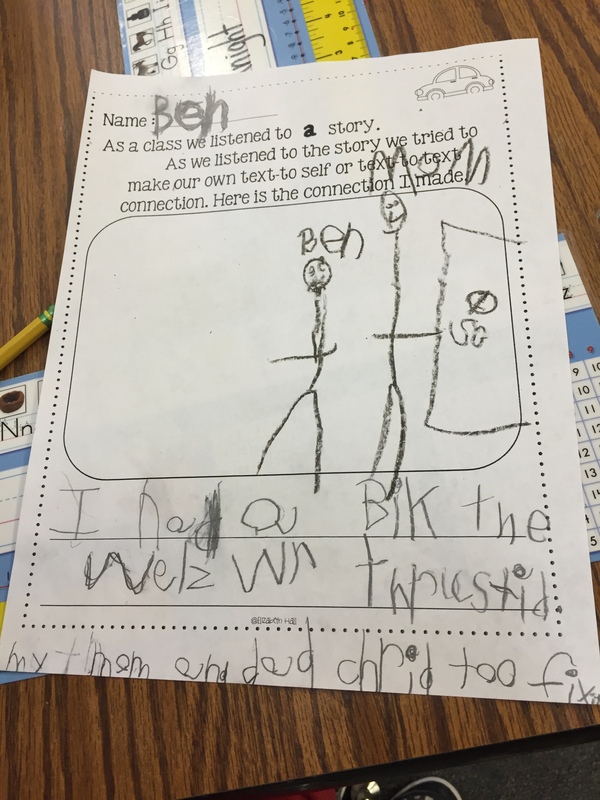 Then students illustrated their connections to the story. 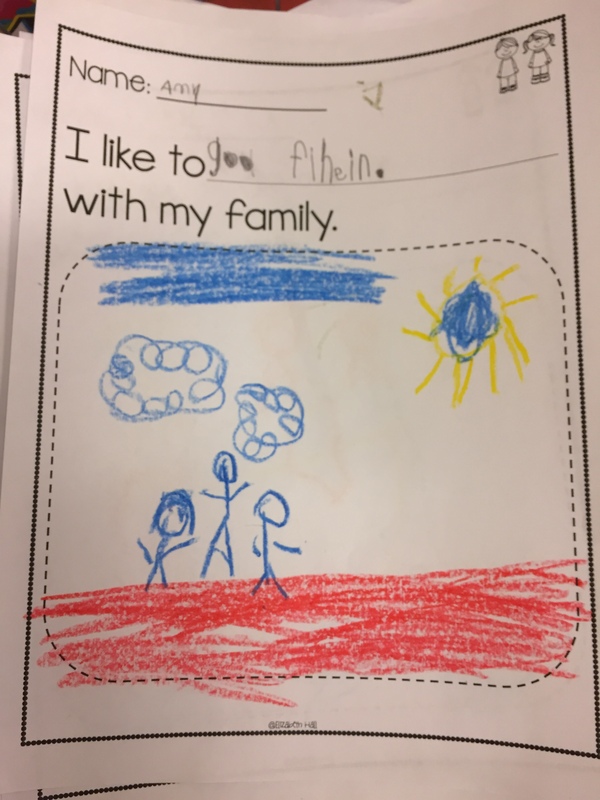 Since the beginning of the school we have been collecting pictures of our family. 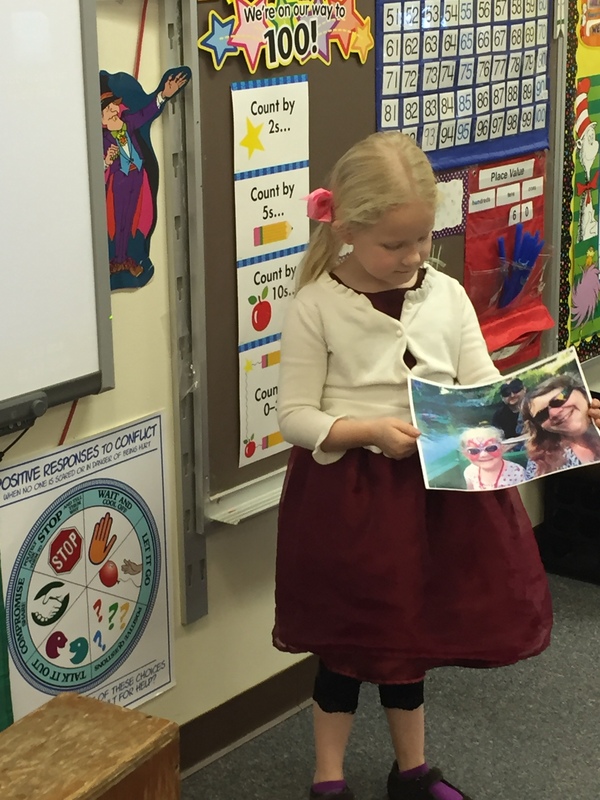 This week students got to share their pictures with the class. 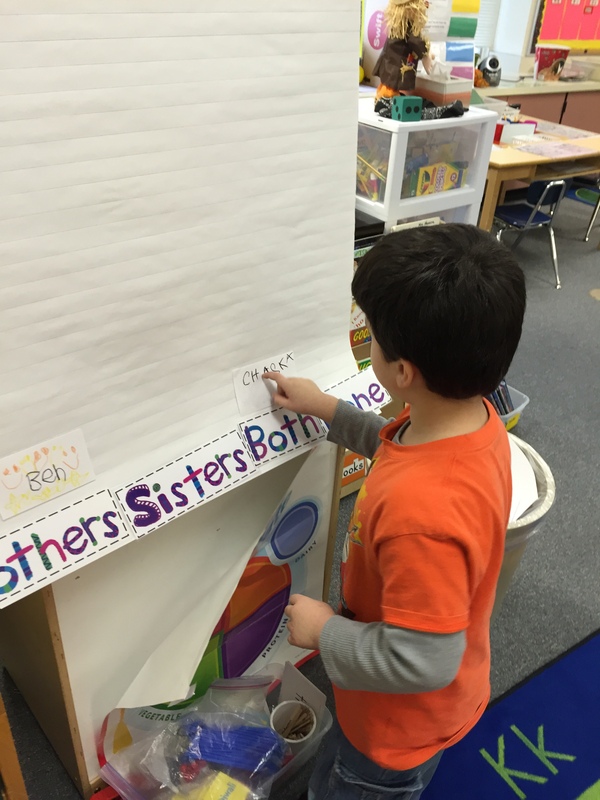 We have also been learning how to ask questions in our class, so the class got to ask questions of the person sharing. 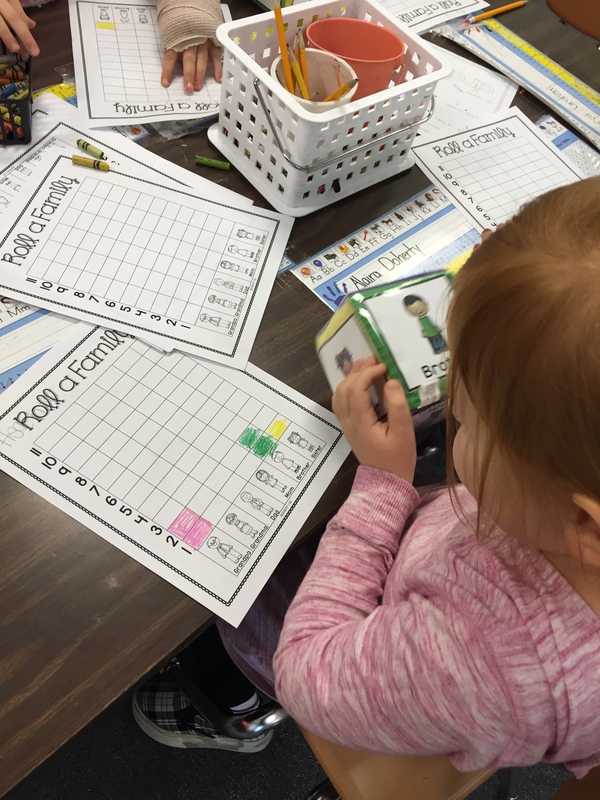 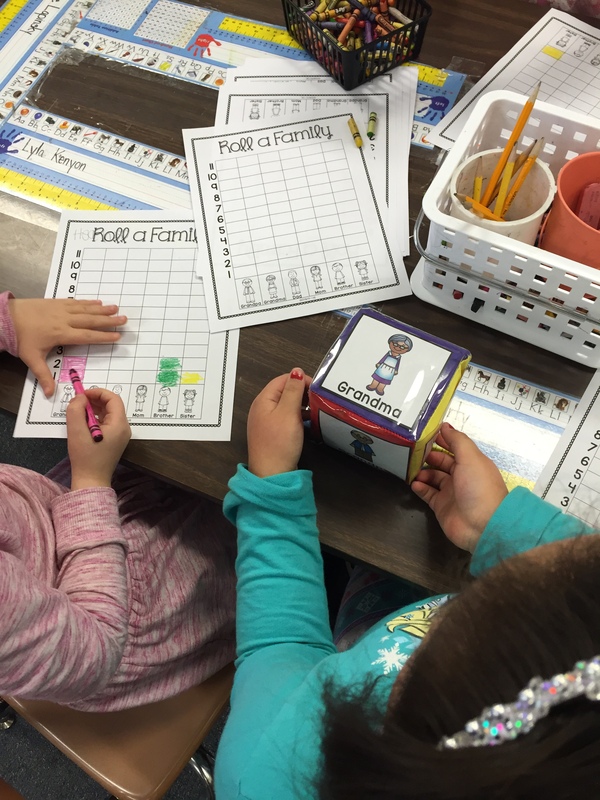 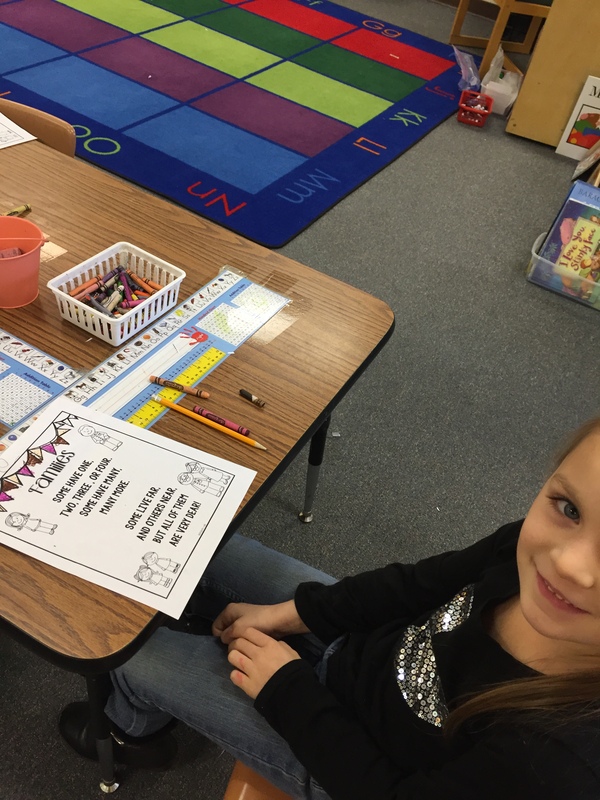 For a math center students rolled a dice with family members on it, and students colored in the corresponding person on their graph. 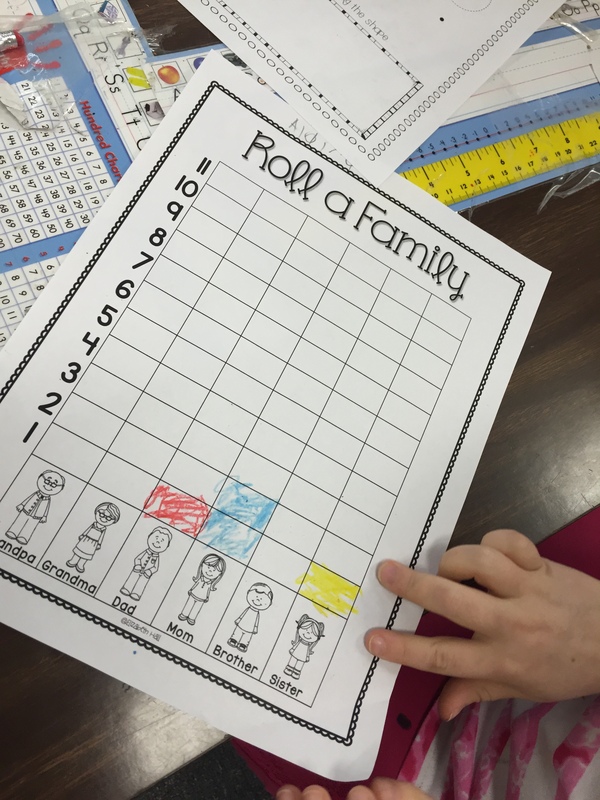 Students used the graphs they created and compared them to their own families. 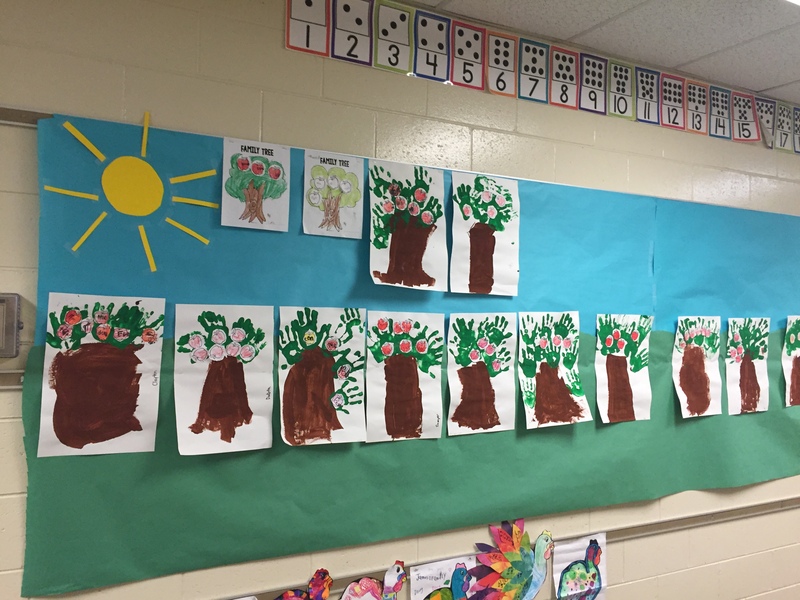 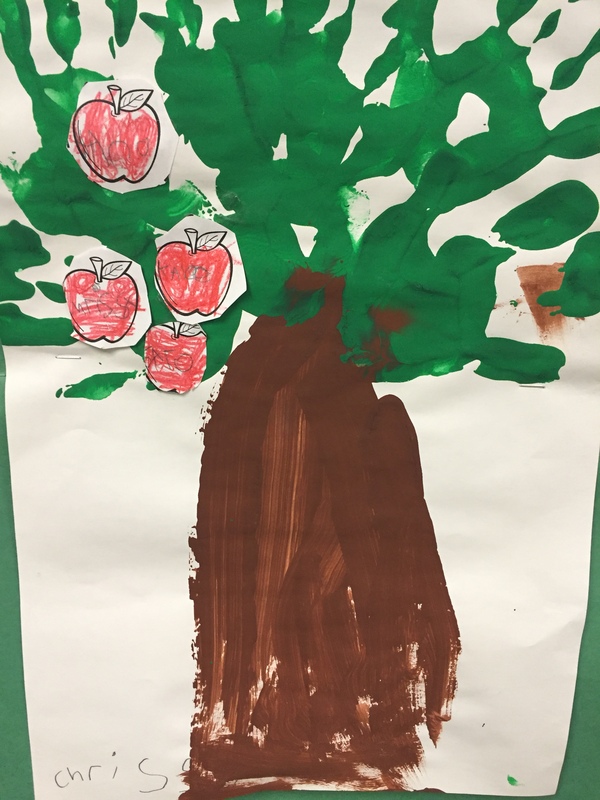 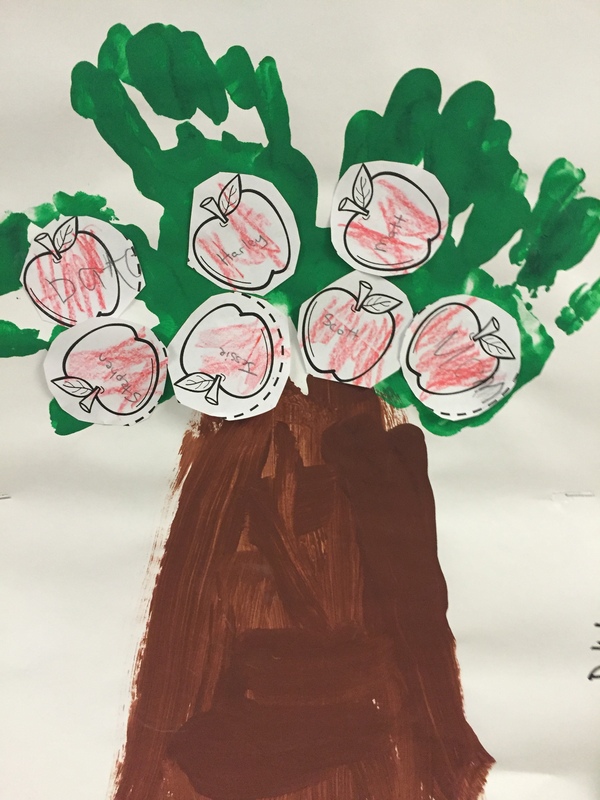 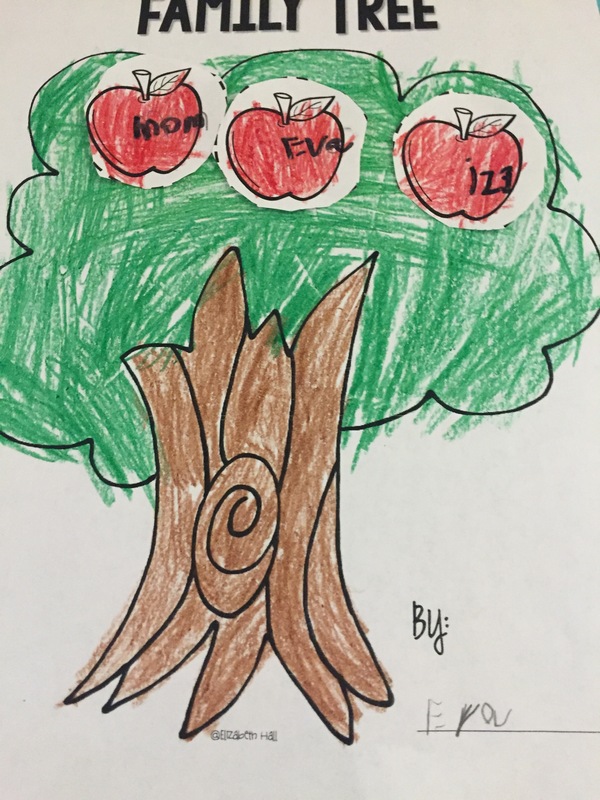 For art students made hand painting family trees, putting apples on the trees for each family member that lives in their house. 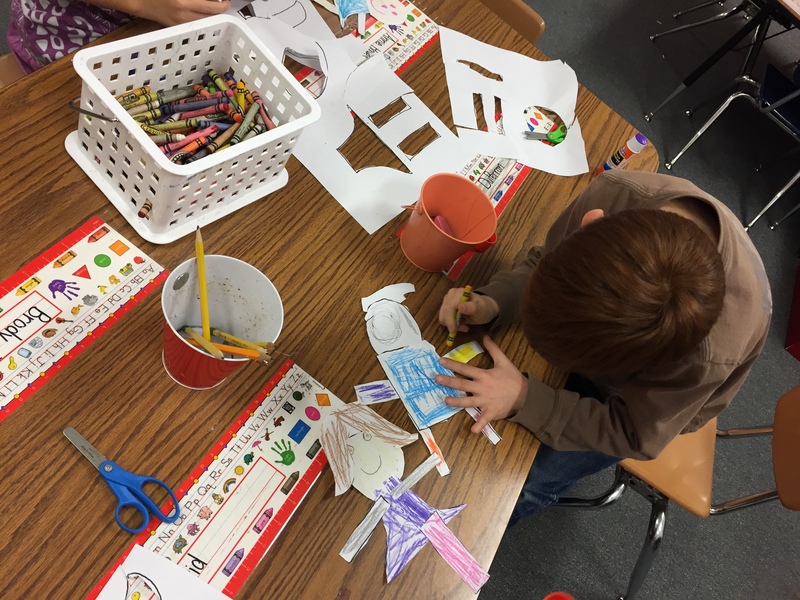 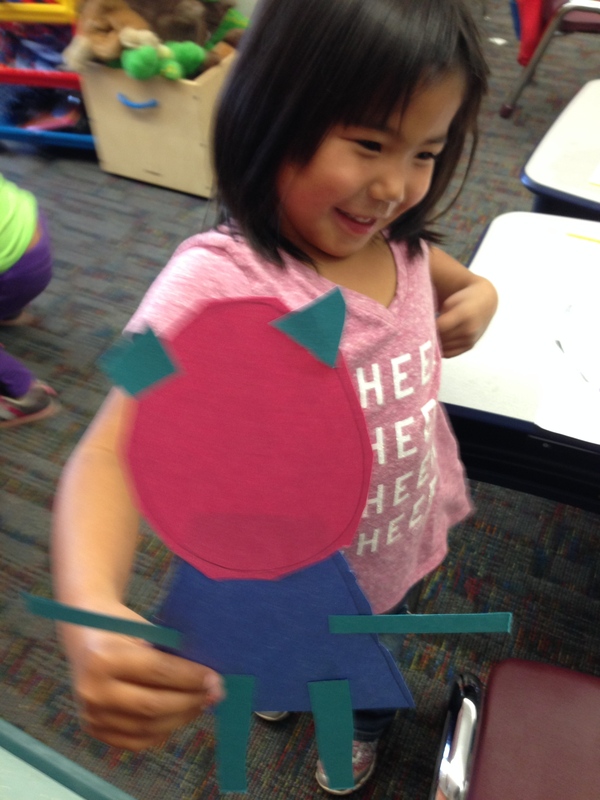 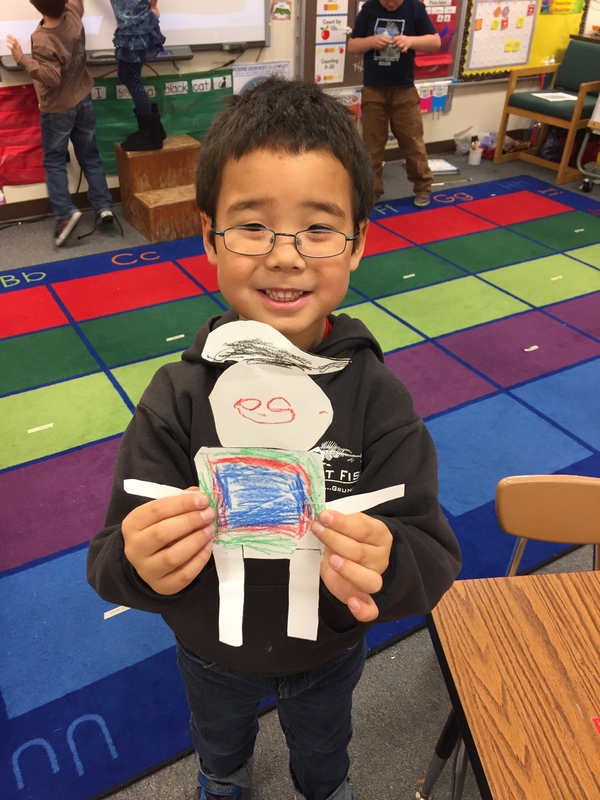 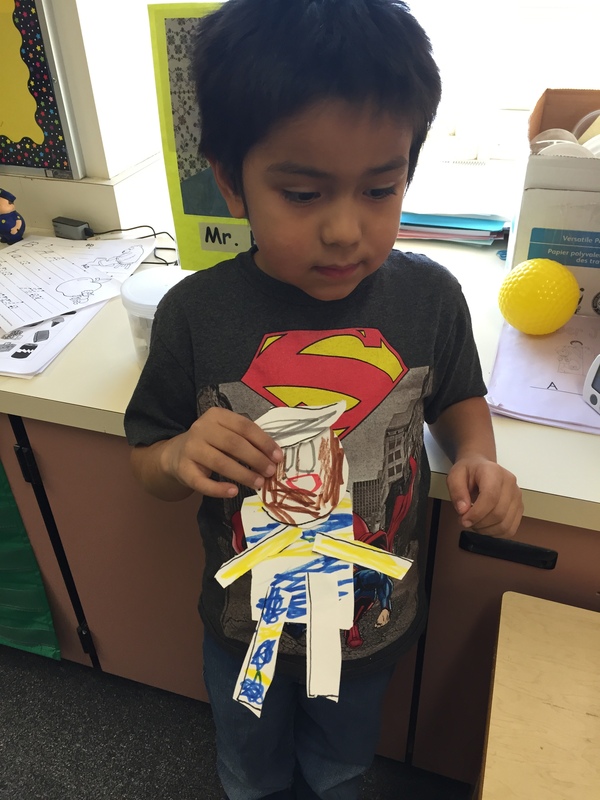 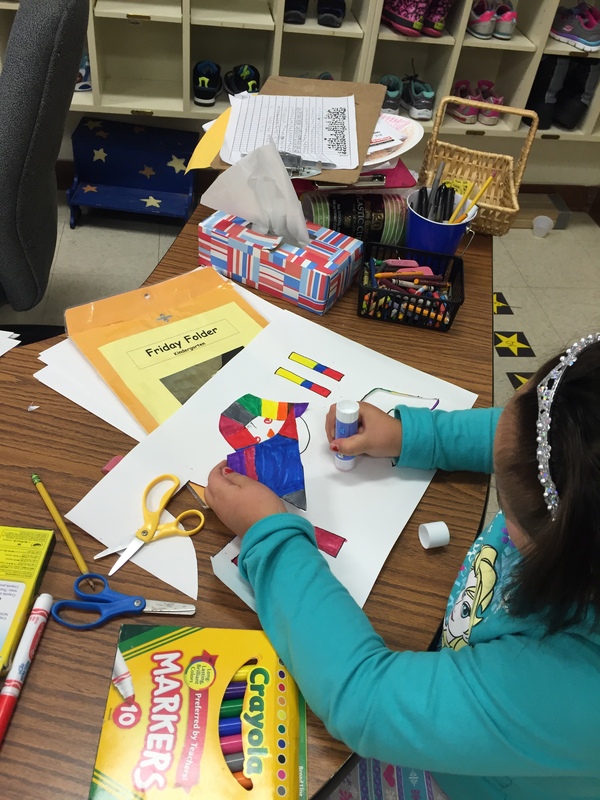 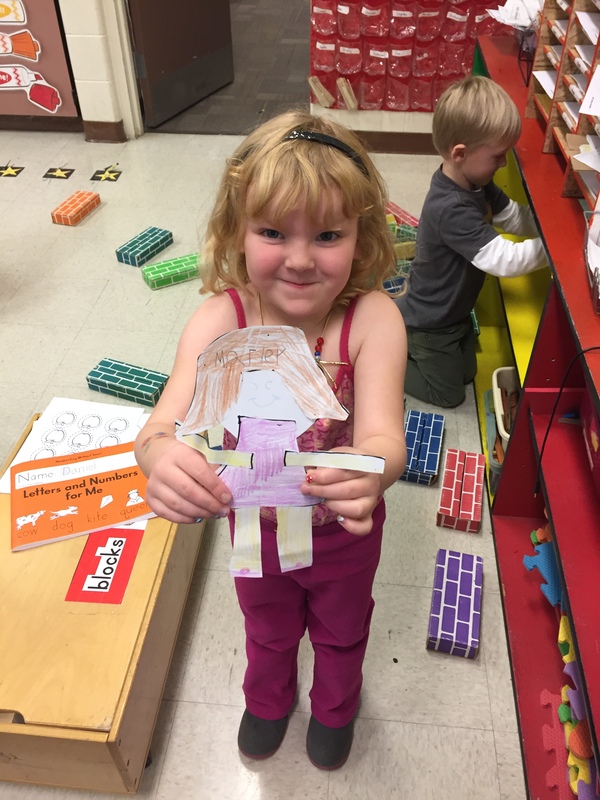 Members of our class also made construction paper puppets of their moms or dads. 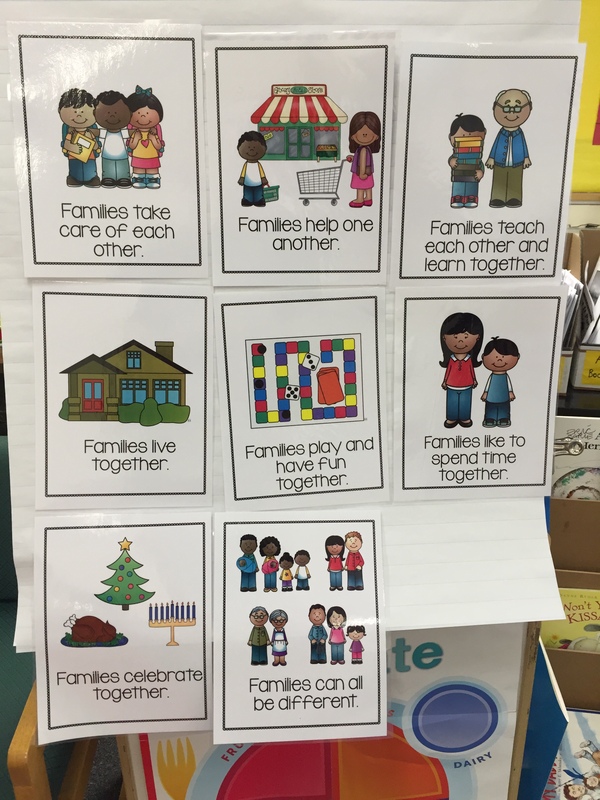 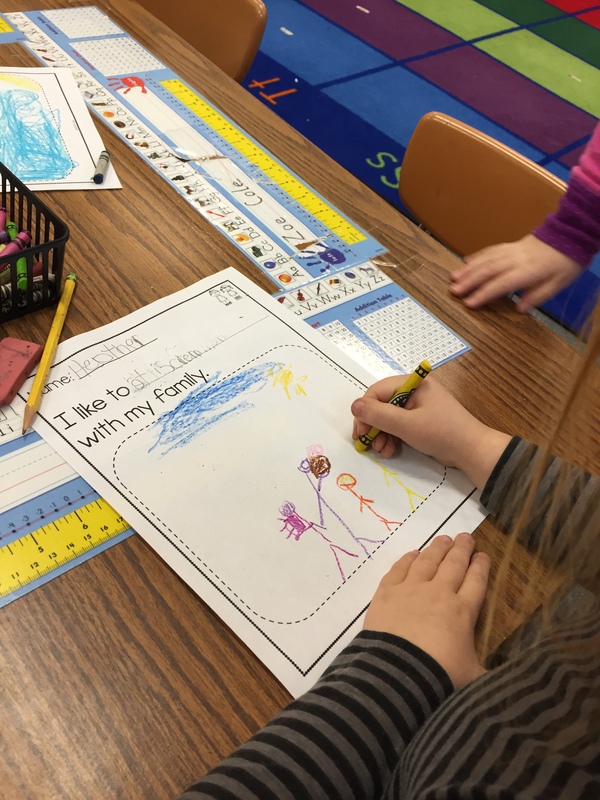 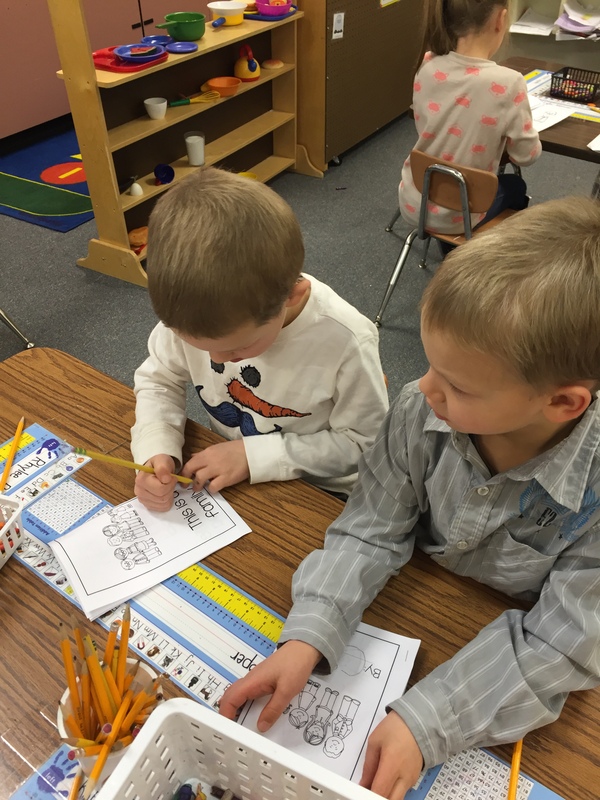 This week we began our unit on families. 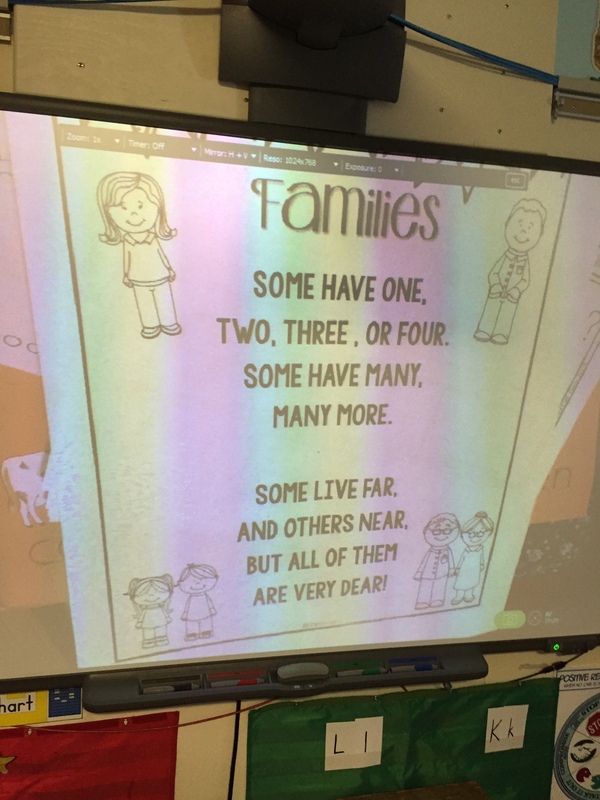 First we read a poem about families on the smart board and decorated them for their poetry journals. 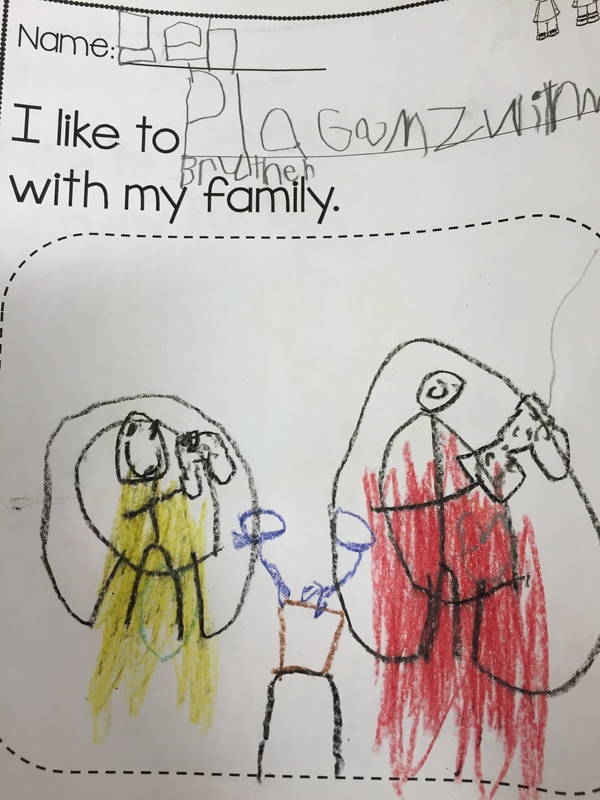 Later on in the day we discussed how families are important and the things that they do together. 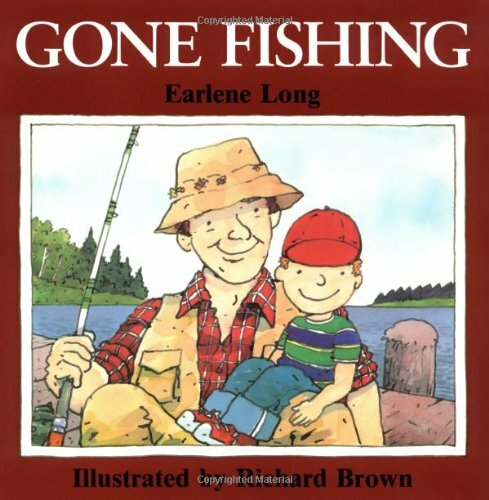 Then we read the story “Gone Fishing” which is a story about a boy going fishing with his dad. 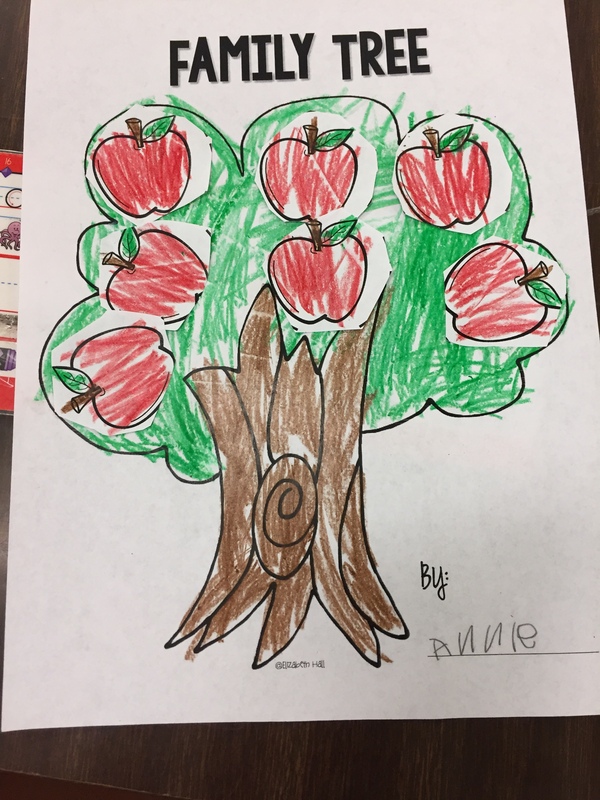 Then we made connections with the story and talked about things we like to do with our family. 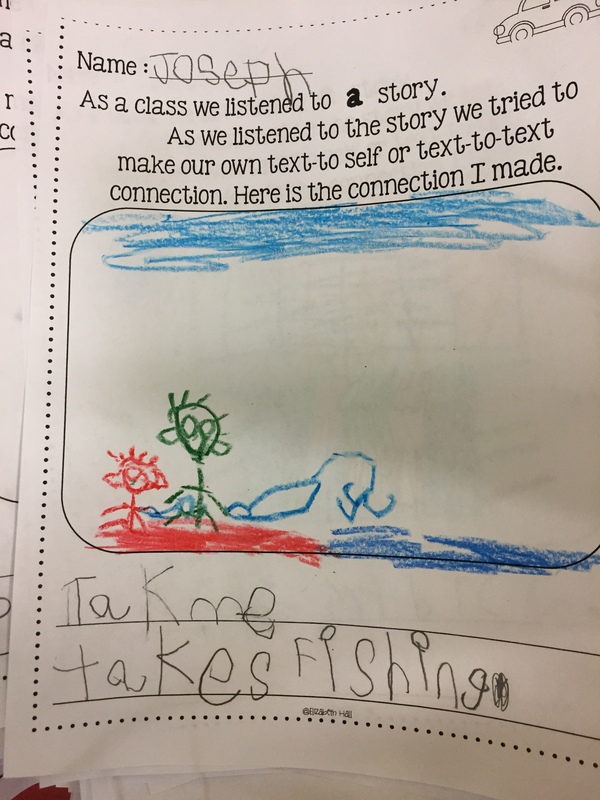 Finally we wrote and illustrated those things that we like to do. 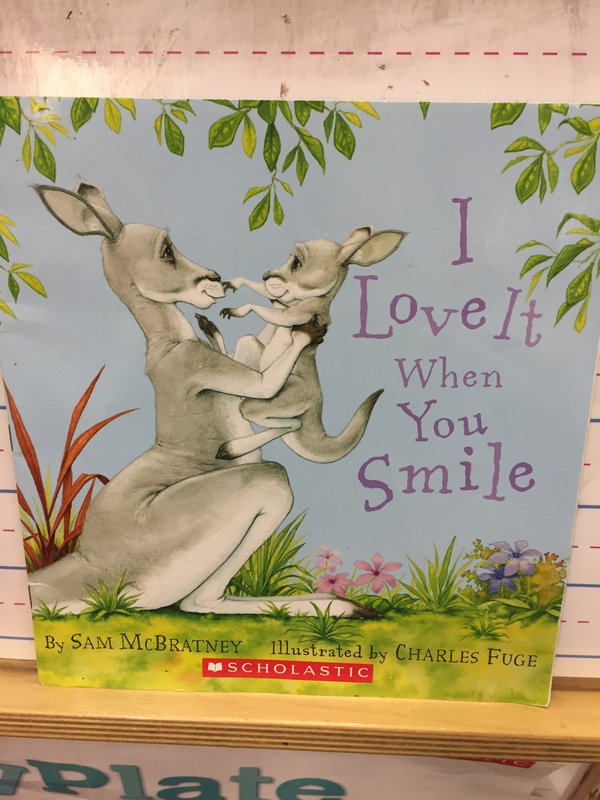 As we finish up our unit on friends and familyWe read the book “I Love it When You Smile” by Sam McBratney. 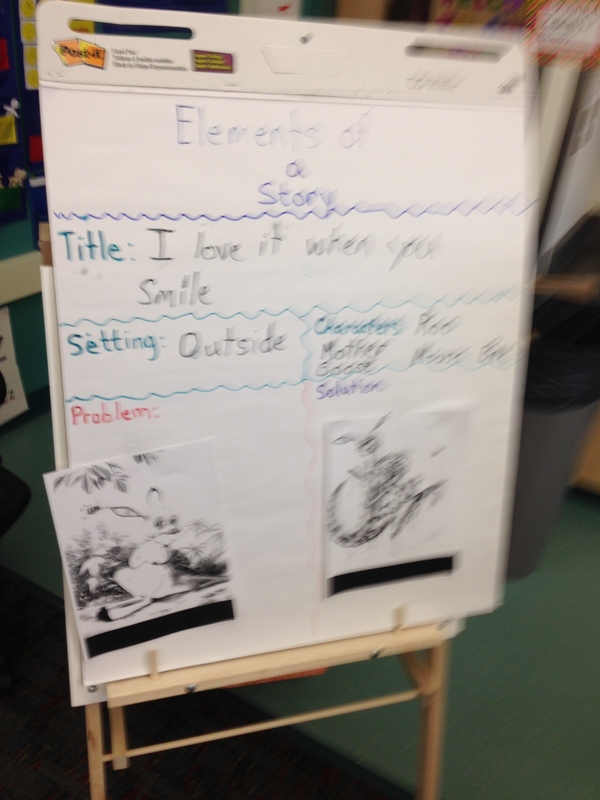 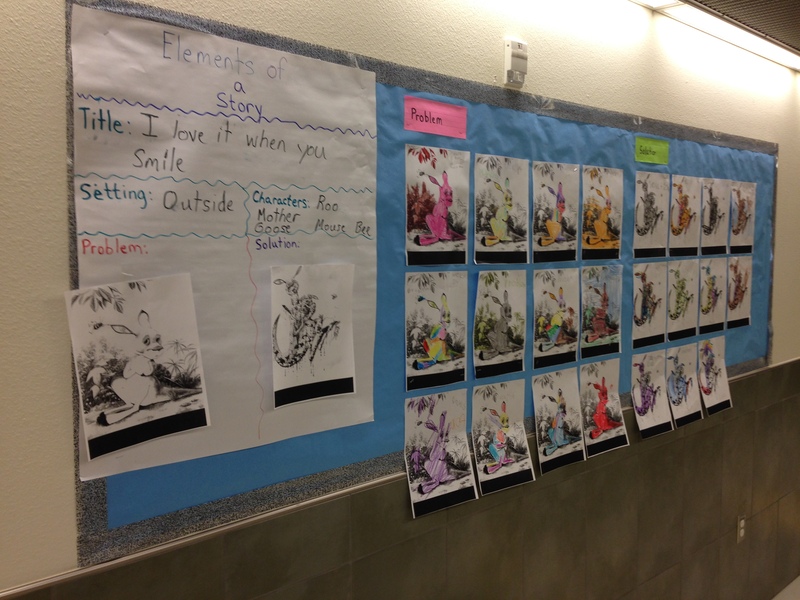 We filled out a thinking map writing about elements of a story. 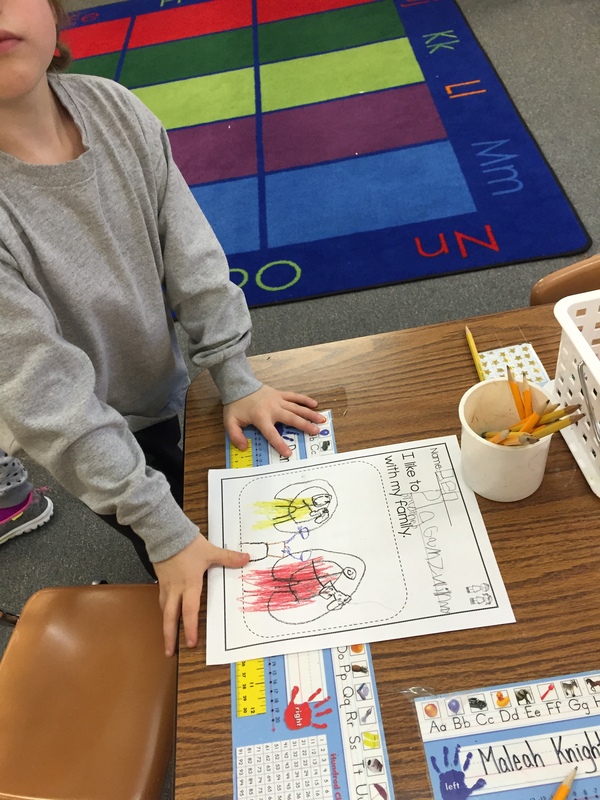 Then students were given their own individual pictures of the problem and solution. 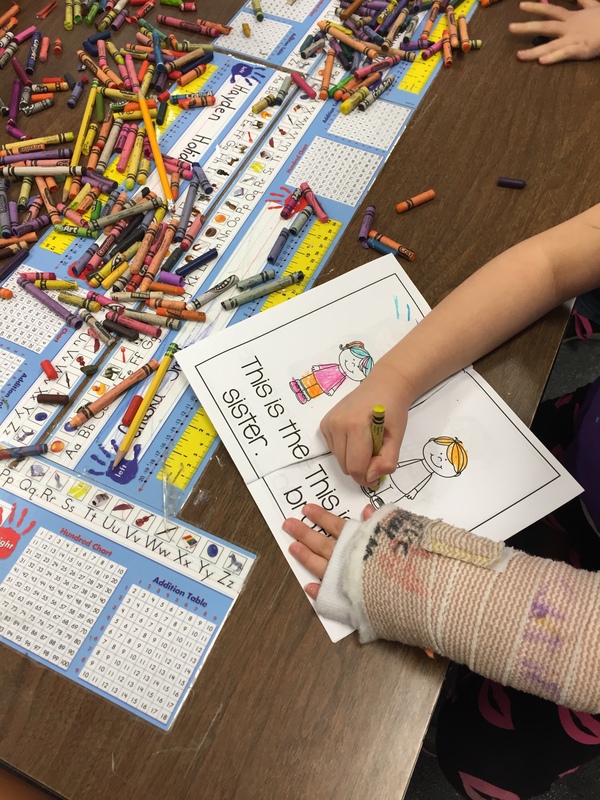 We decorated our pictures, matched them to the problem and solution. 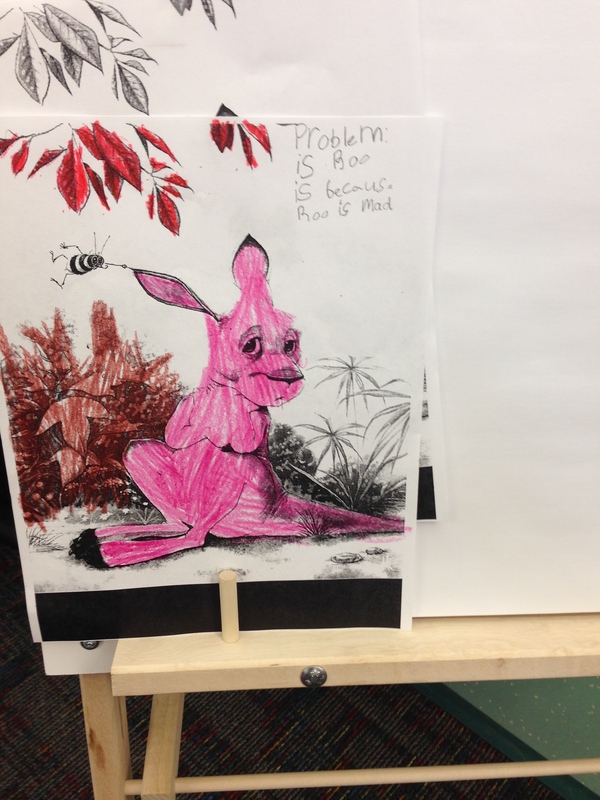 As we matched them we retold the story through problem and solution. 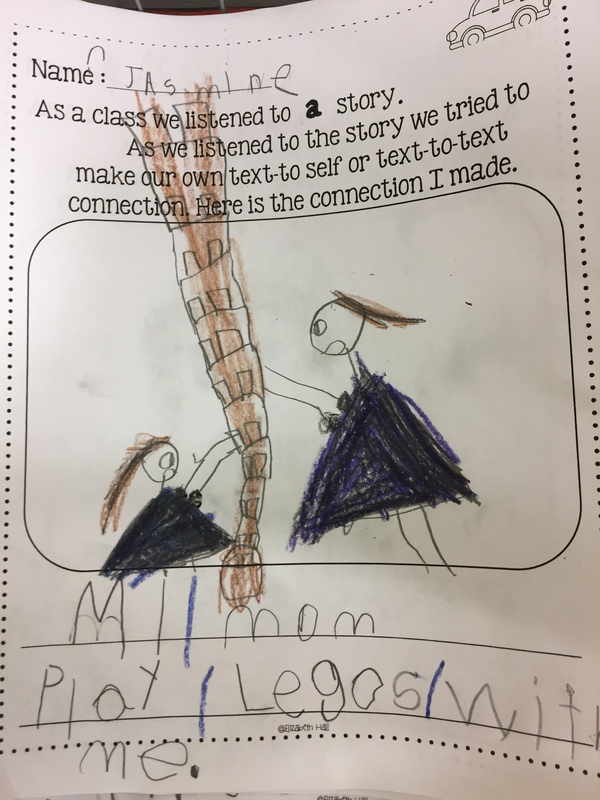 We then made a connection with the story as we talked about how our mom’s take care of us just like Roo’s mom helped make him feel better when he was grumpy. 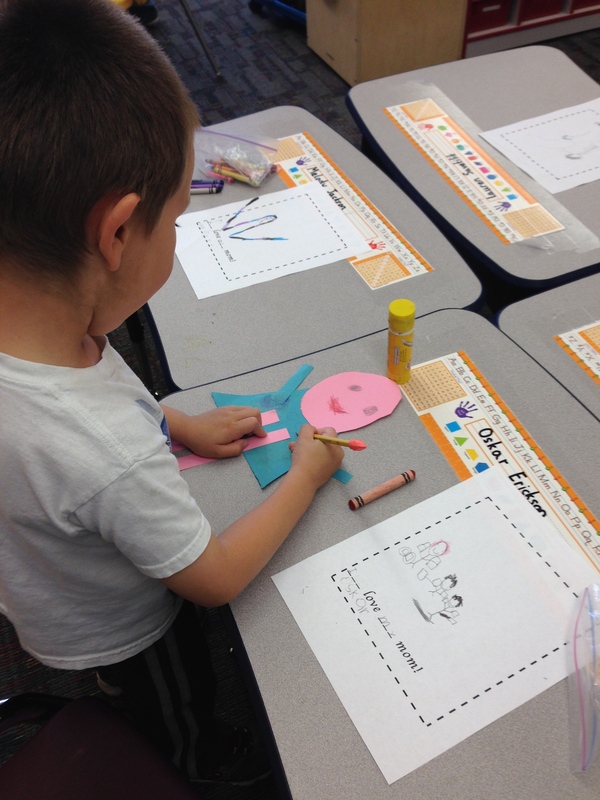 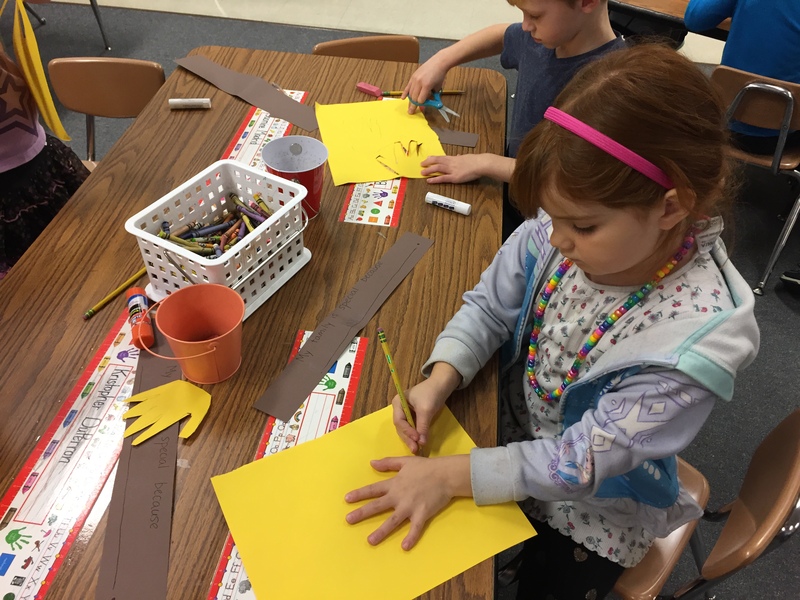 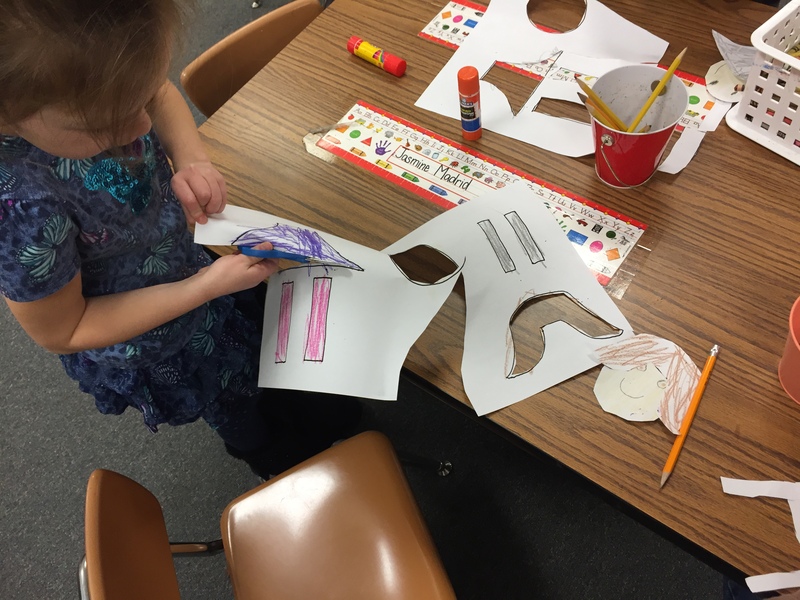 Then we wrote about our mom’s with our sight words and we made construction paper mom’s. 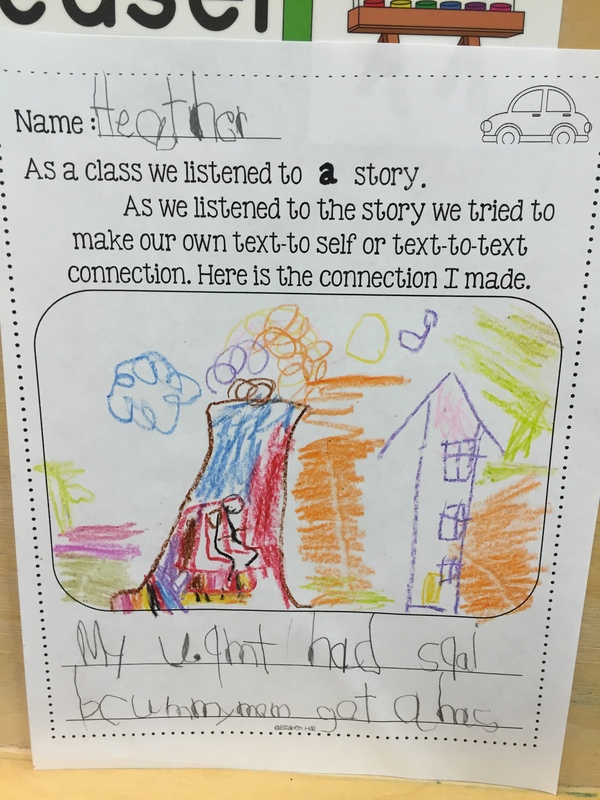 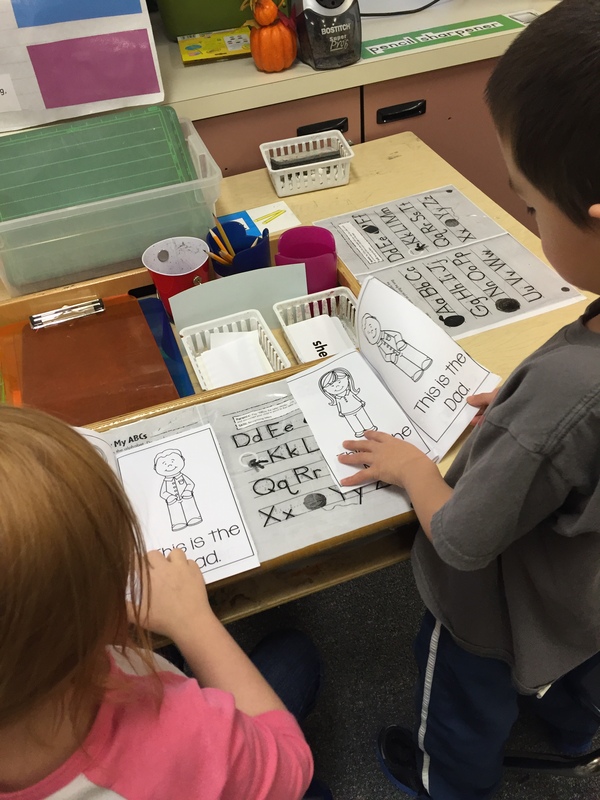 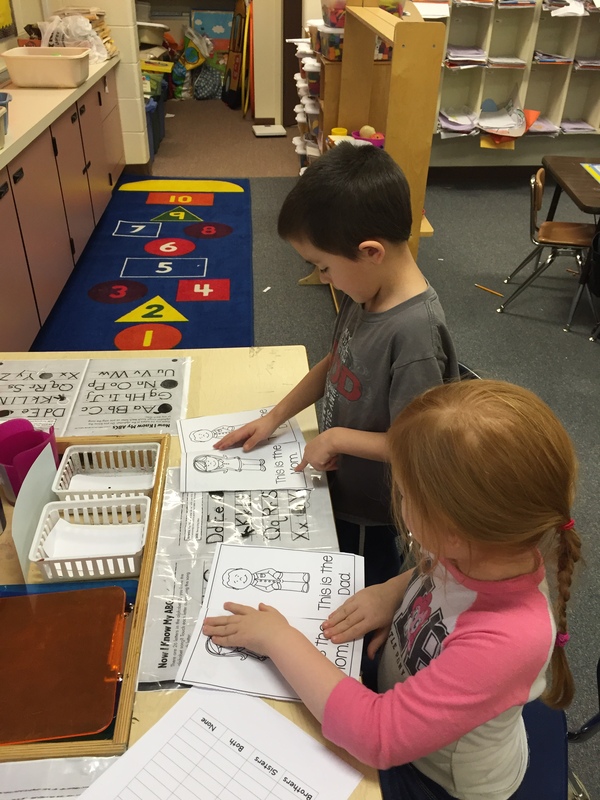 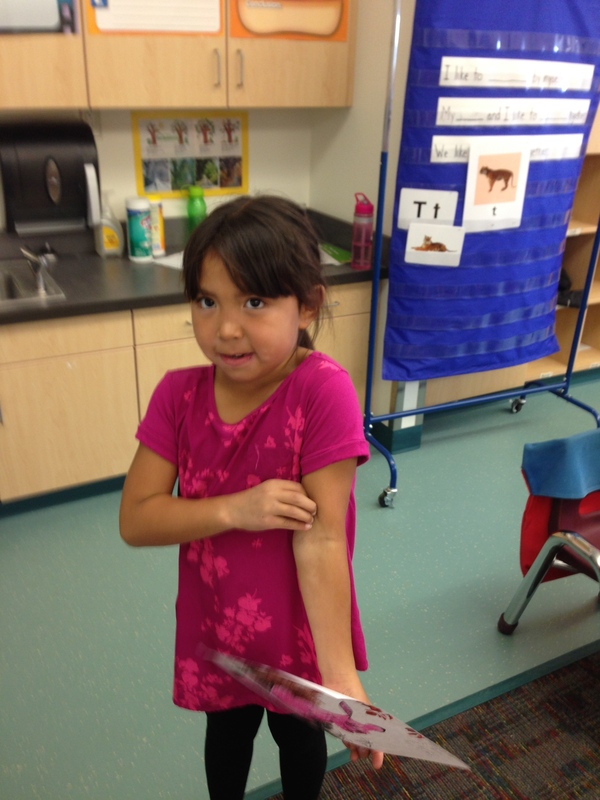 Today in Kindergarten we learned the letter Tt and the sound /t/. 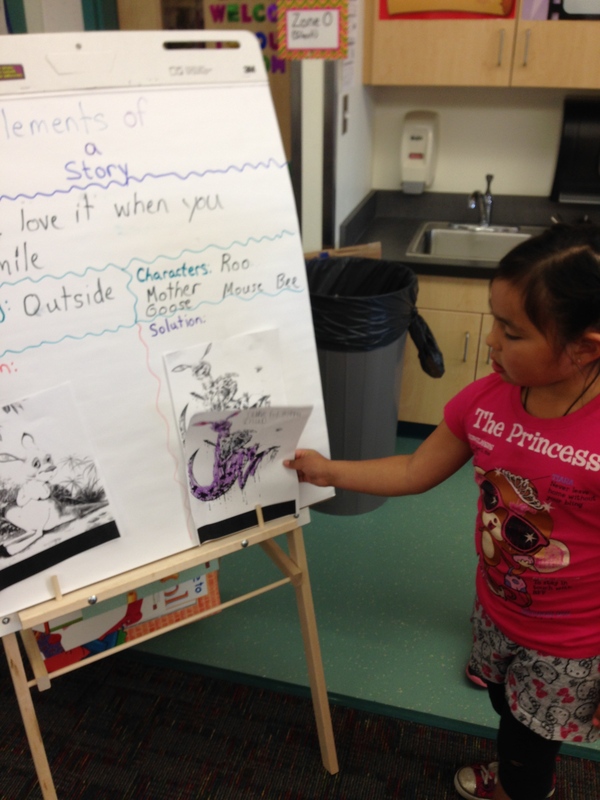 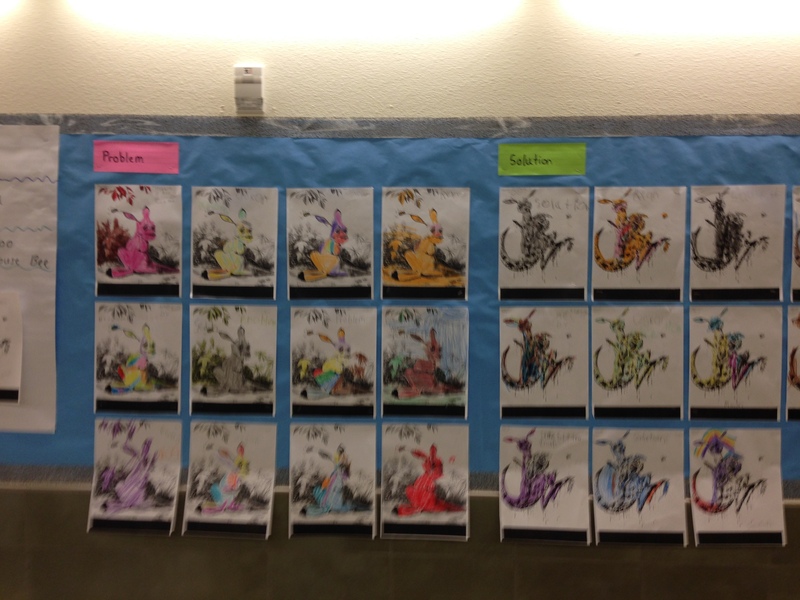 Also last week we learned about different types of texts and how fiction stories aren’t the only things we read. 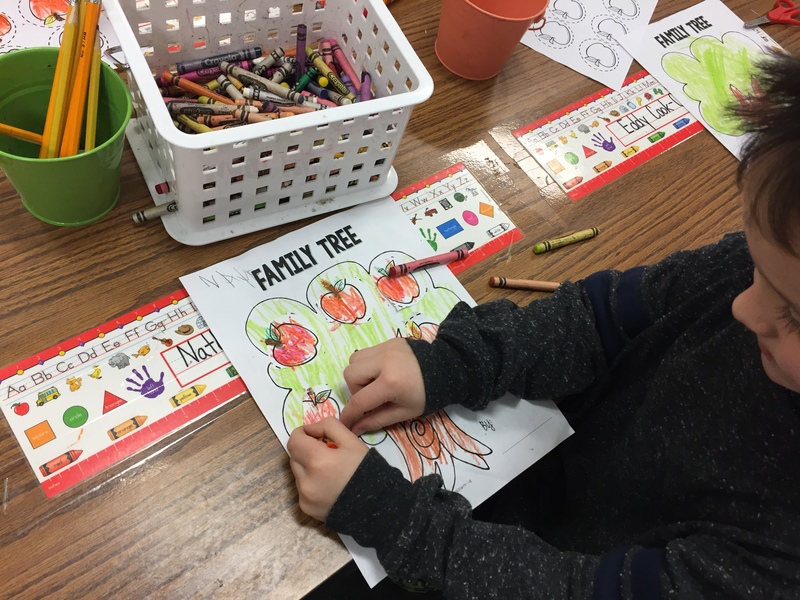 As part of our theme “Friends and Family” we talked about different activities we do with our family and how sometimes we cook with our families. 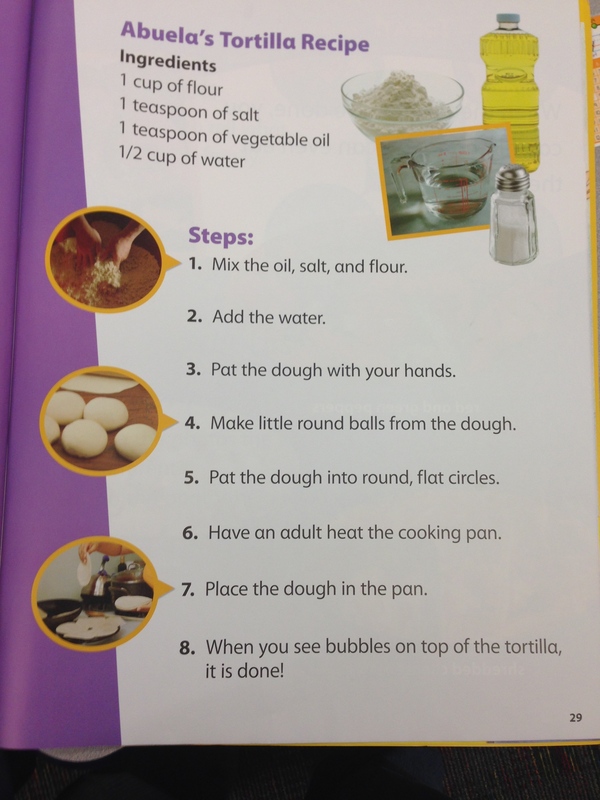 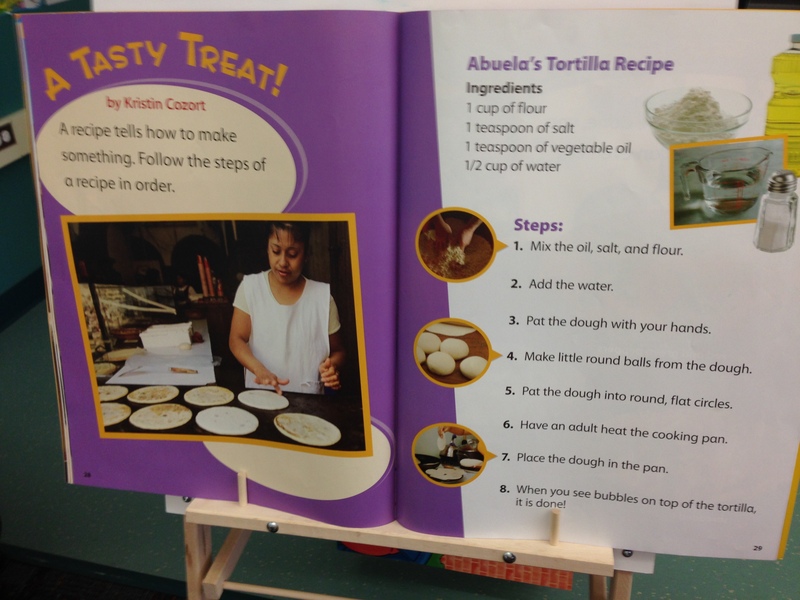 We read a recipe on how to make Tortillas for the letter Tt. 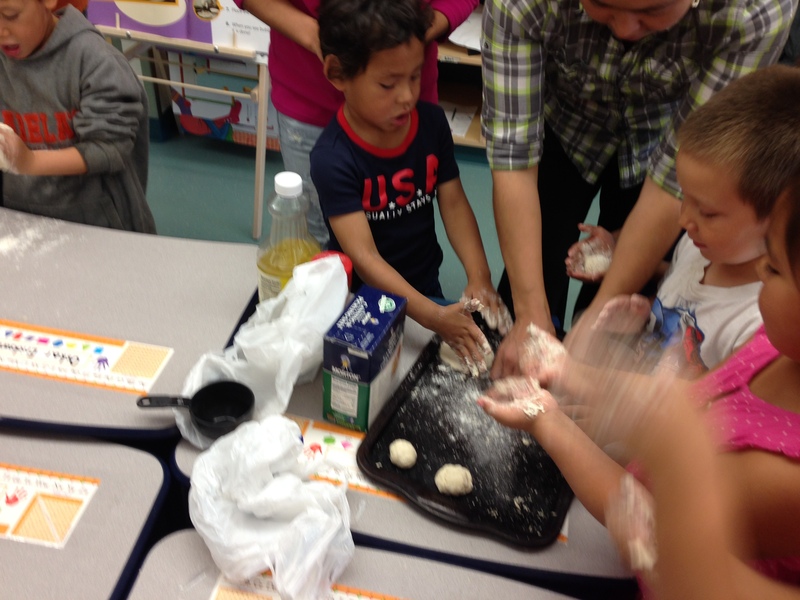 We then took our recipe and made tortillas with our family and to celebrate learning the letter Tt! 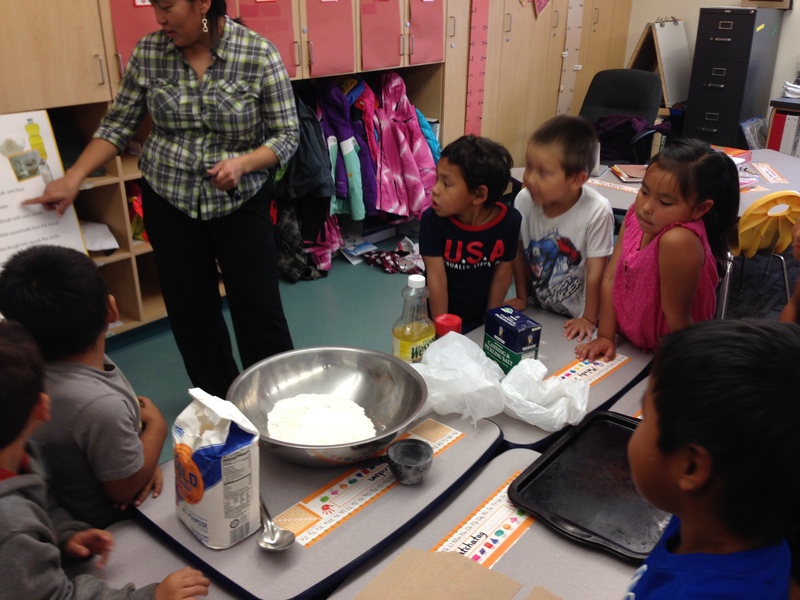 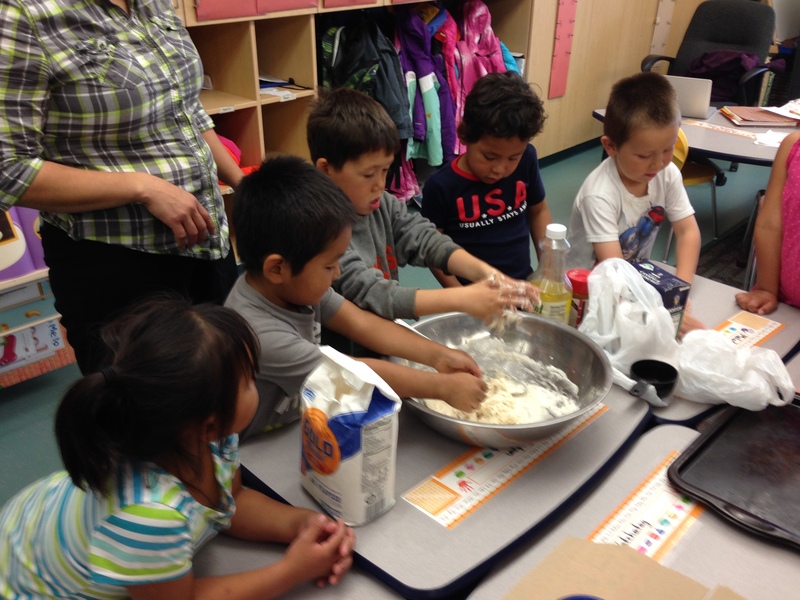 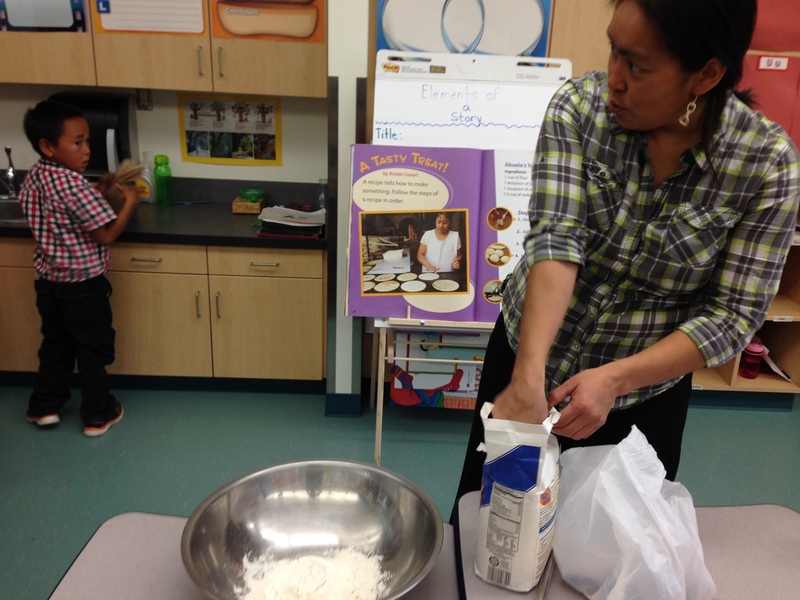 Students got to help with the ingredients, mixing the dough, rolling the dough, and patting the dough out into the mini tortillas. 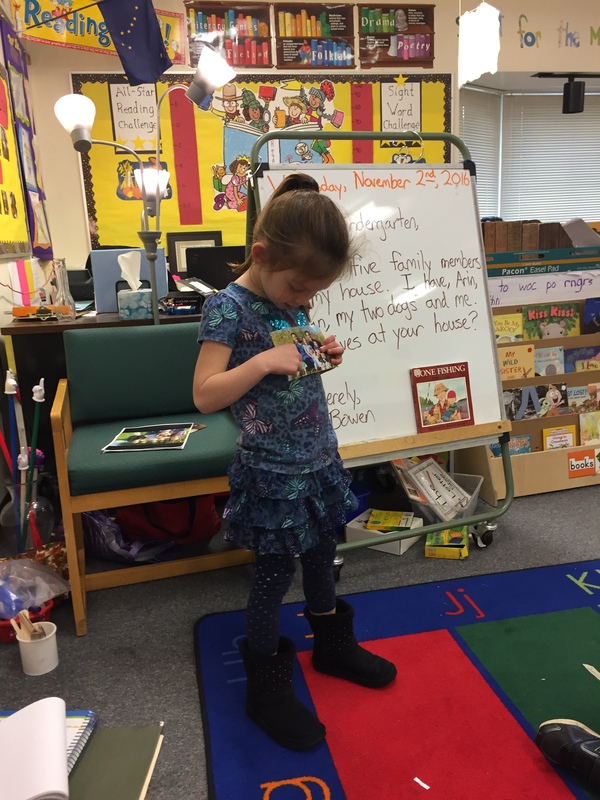 We read each step and followed them step by step. 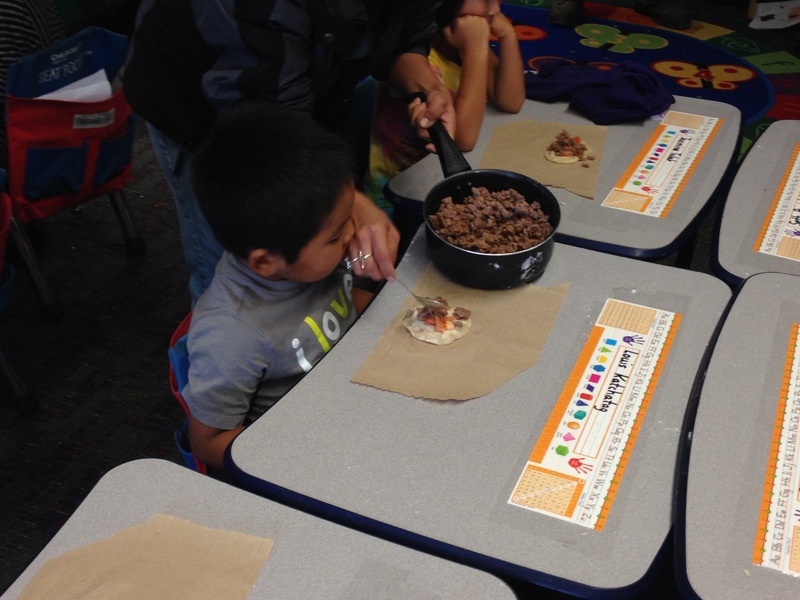 Then after the tortillas were cooked we got to enjoy our mini tortillas with meat, tomatoes, and cheese! 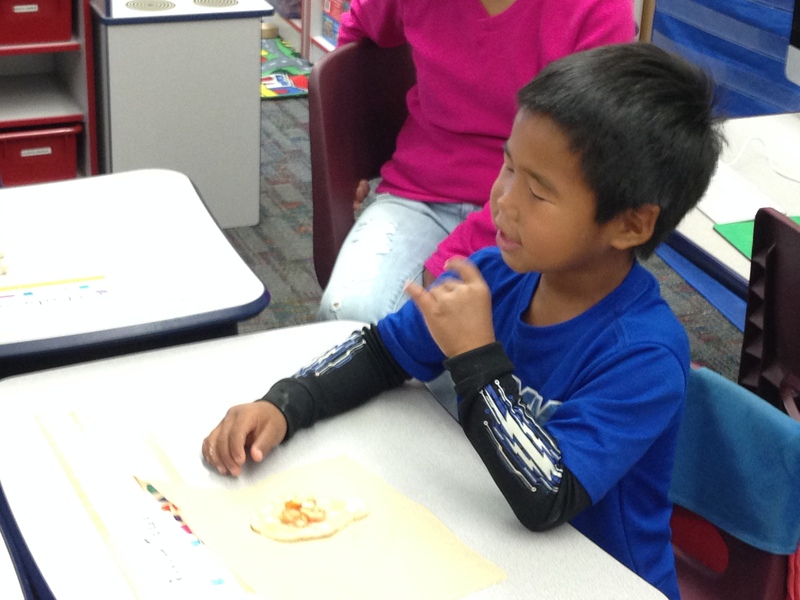 Thank you to all the parents that showed support by help out in the classroom or by providing the food!